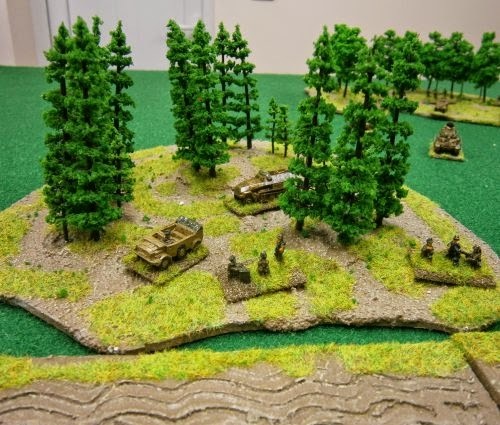 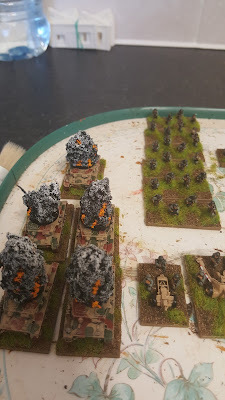 My 10mm World War II Project will be based around the invasion of the Soviet Union from operation Barbarossa till the fall of Berlin as I complete the German and Russian forces I was slowly expand into other areas of World War II (WWII). 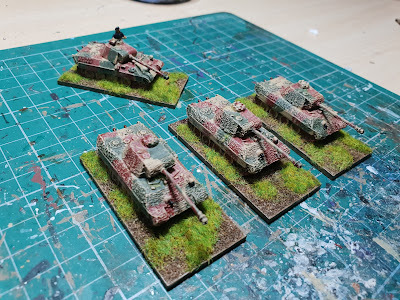 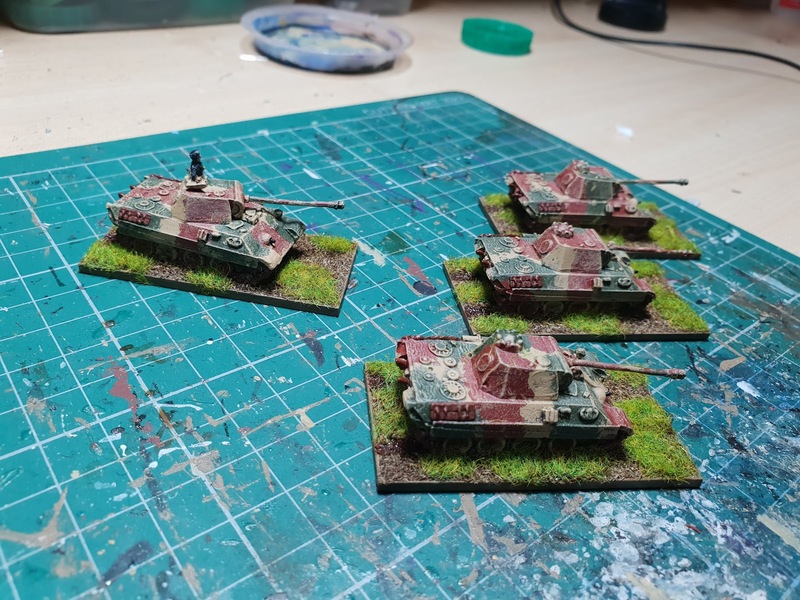 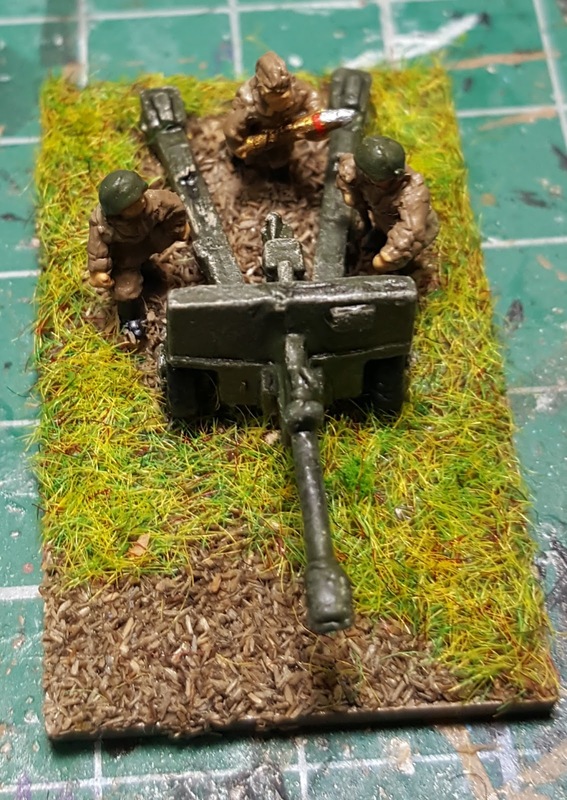 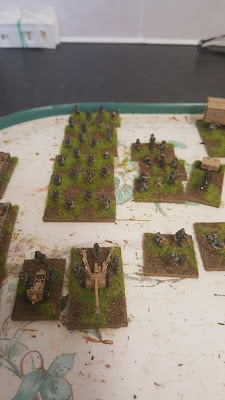 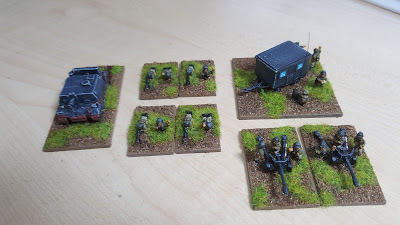 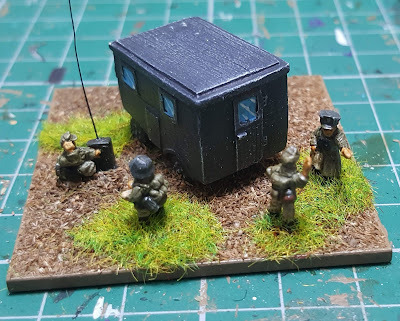 Painting World War II Germans. 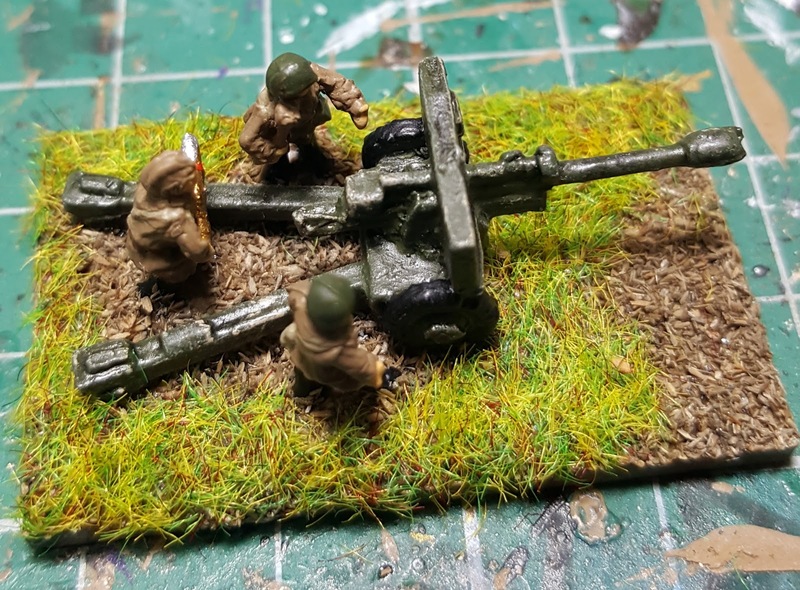 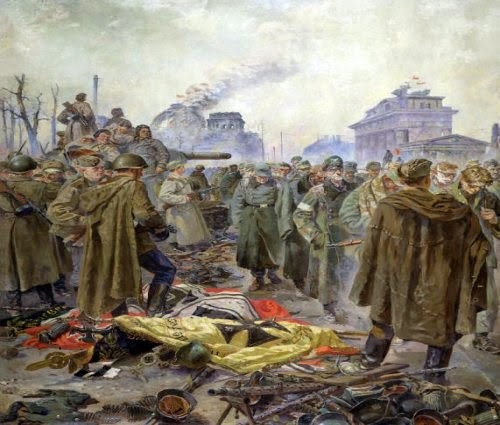 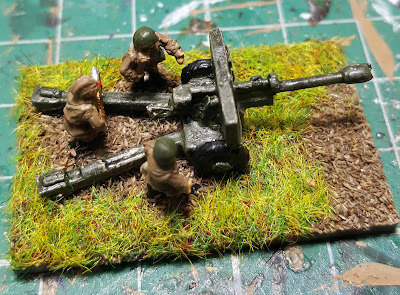 Painting World War II Russians. World War II (WWII) Buildings. 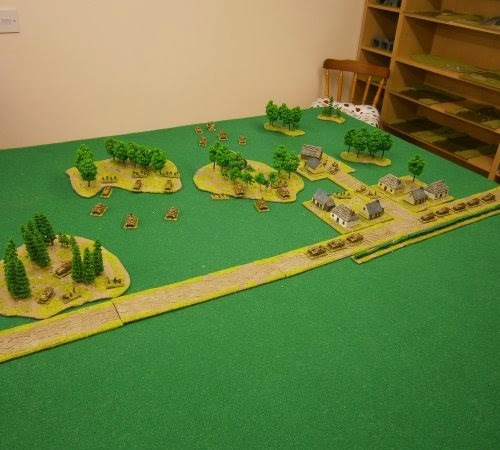 World War II Battle Reports & Scenarios. My World War II Book Library. Useful World War II Links. The Battle of Stalingrad Project. 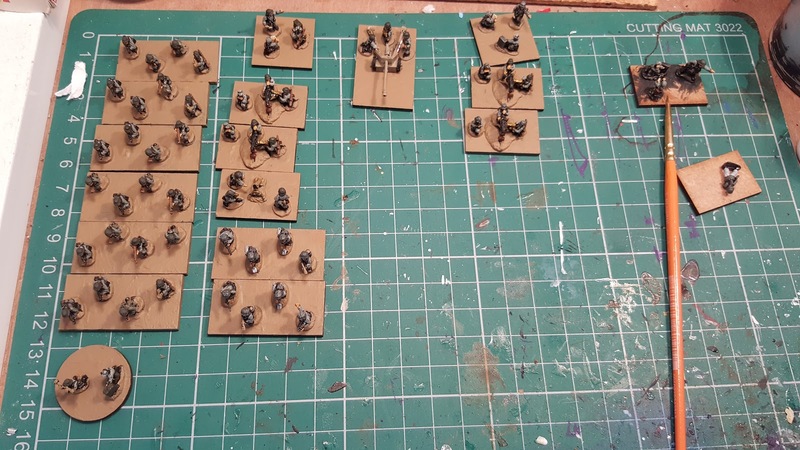 6th Army, Orders of battle, Stalingrad. 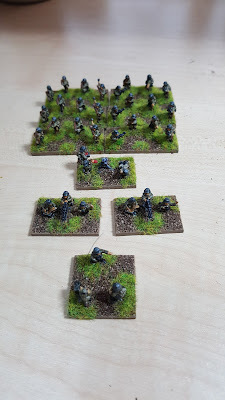 62nd Army, Orders of battle Stalingrad. 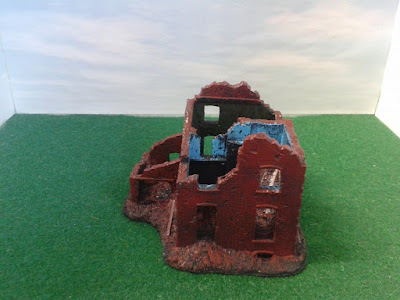 The Building of Stalingrad Pictures. Making Stalingrad Ruined Buildings Pictures. 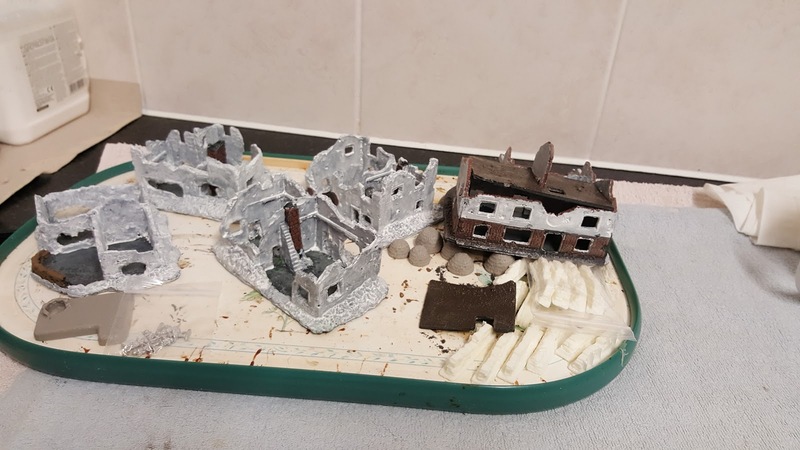 World War II Project Pictures. 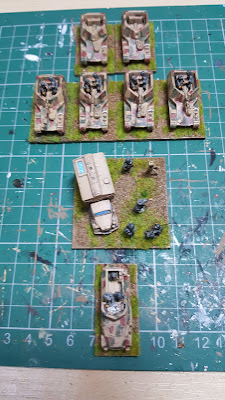 The rules I will be using are Rapid Fire and Blitzkrieg Commander Rules. 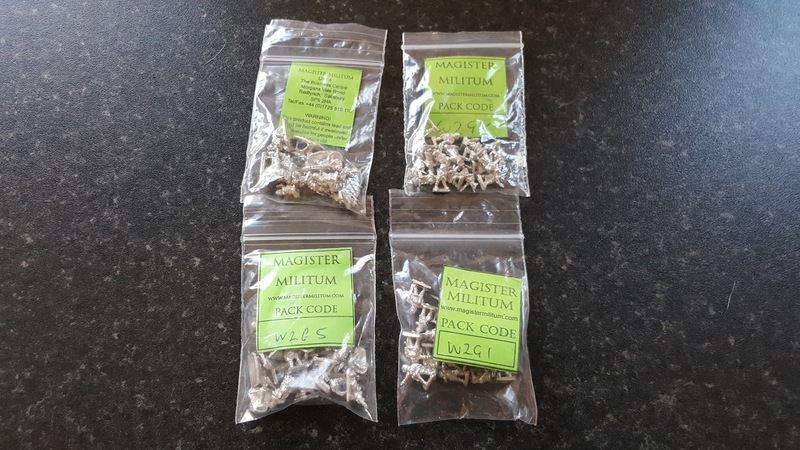 The core of the army will be built using Pendraken Miniature's other manufacturers which I intend using are Magister Militum. 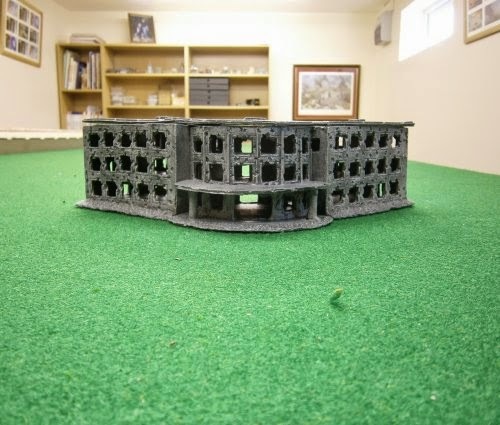 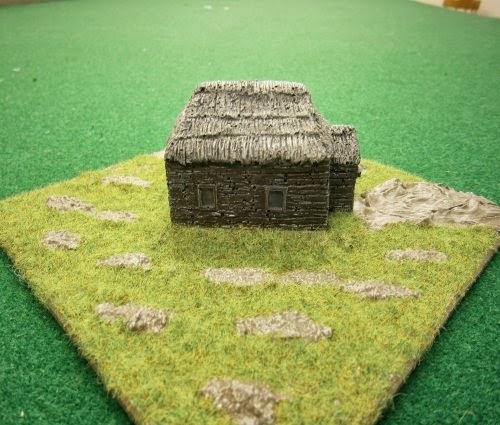 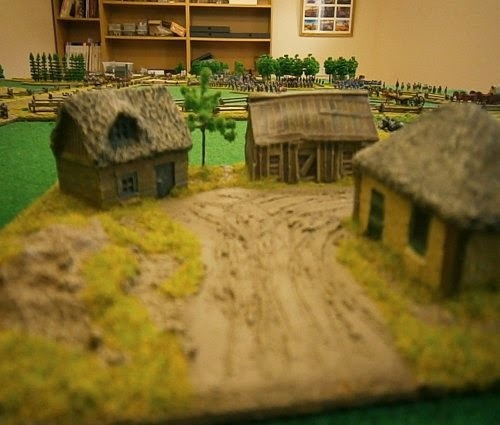 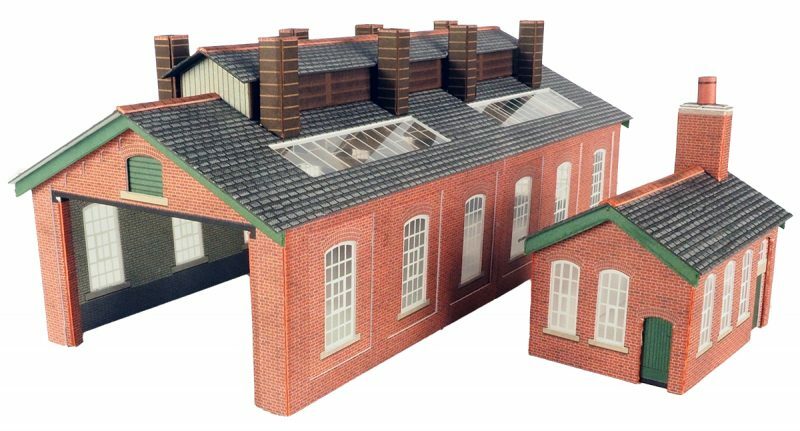 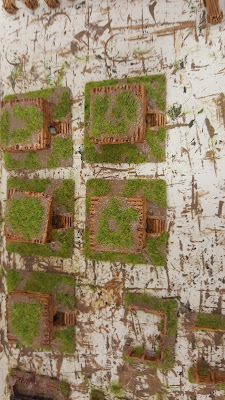 The buildings which I intend using are from various manufacturers Pendraken, JR Miniatures buildings sold by Magister Militum, Fieldworks and TimeCast's. 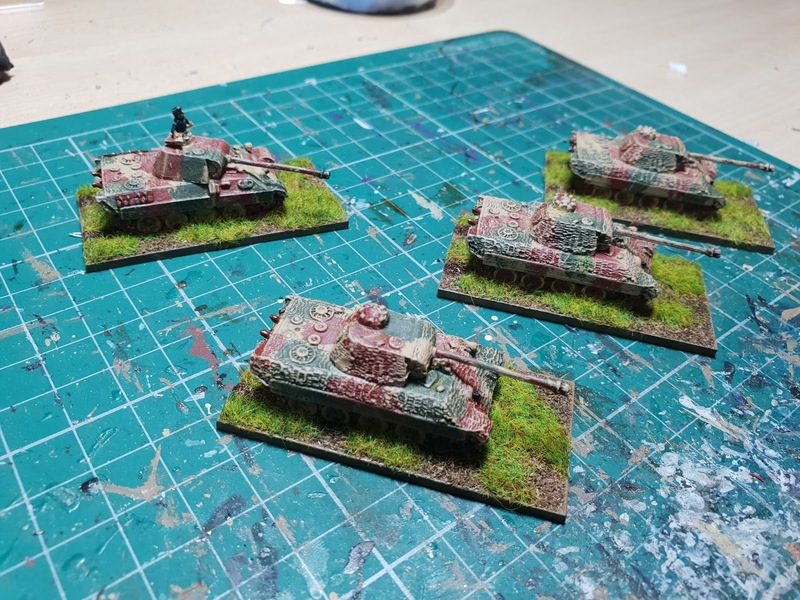 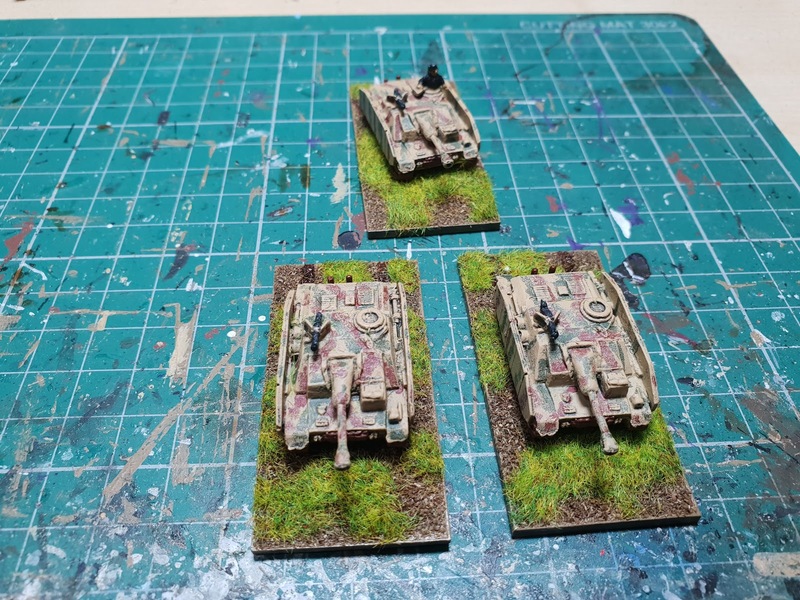 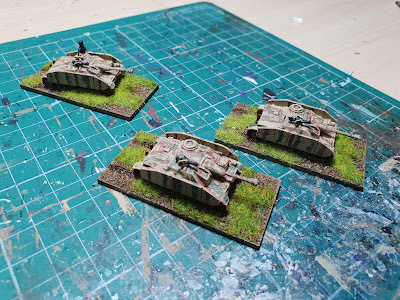 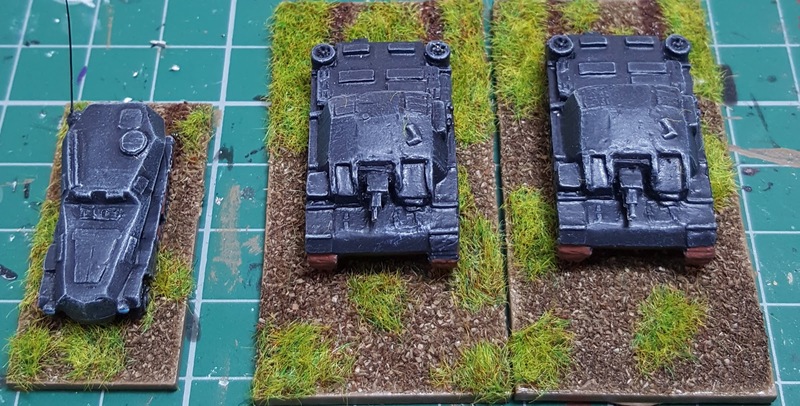 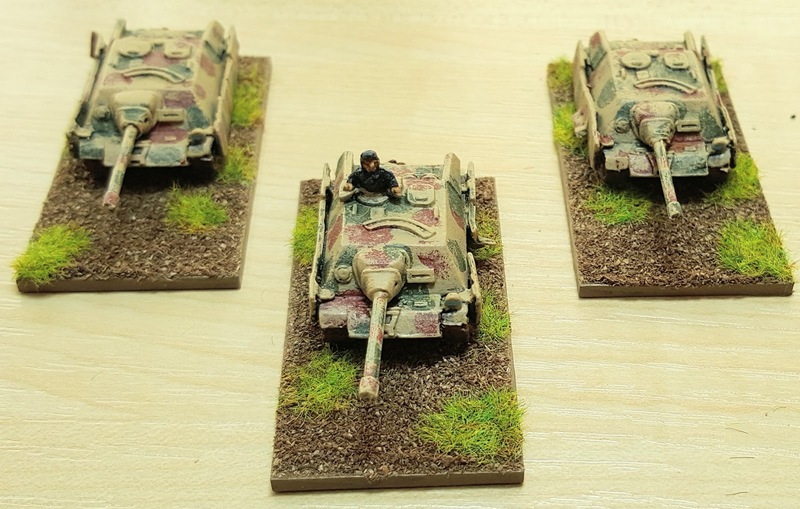 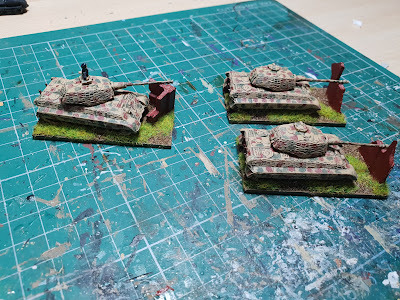 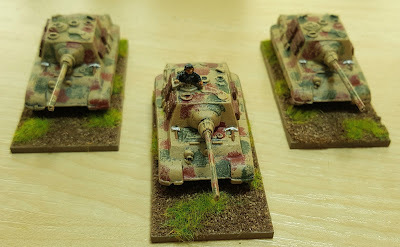 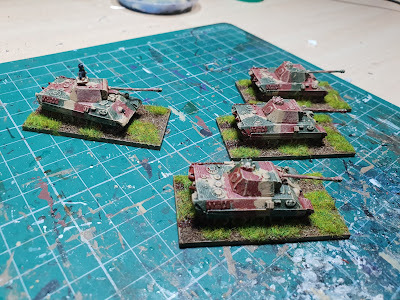 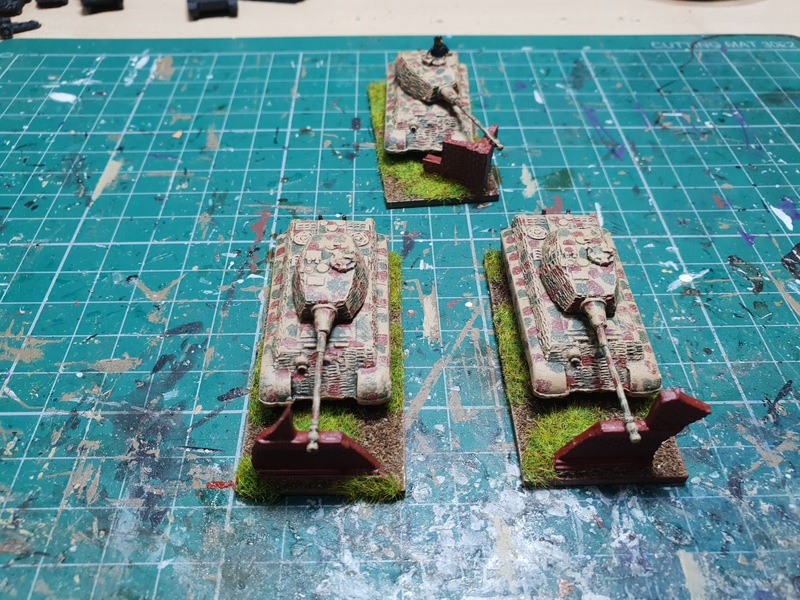 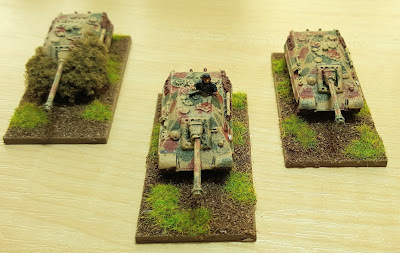 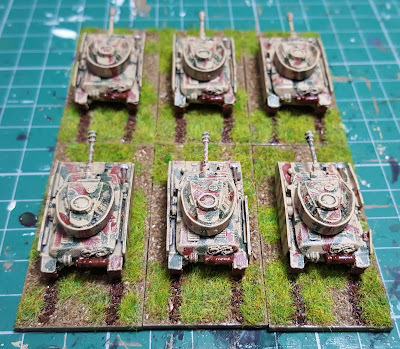 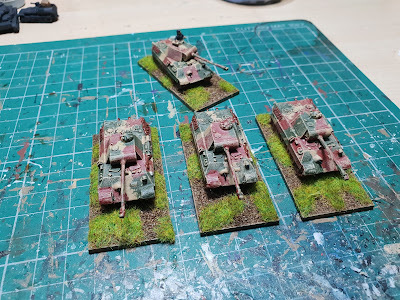 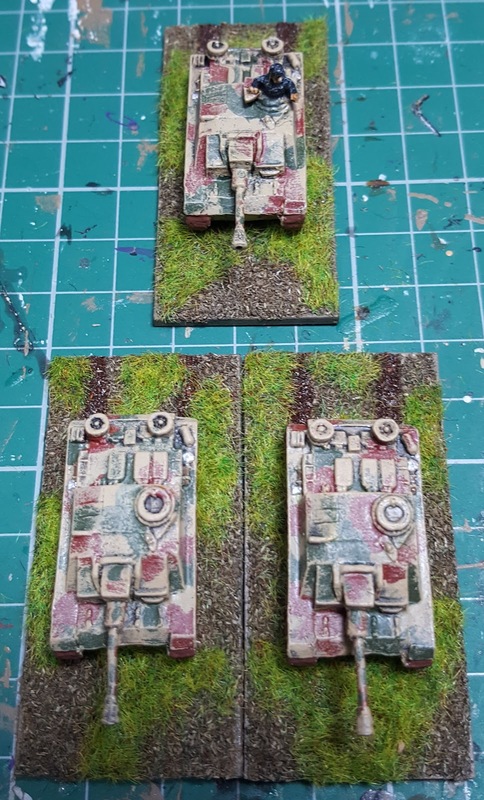 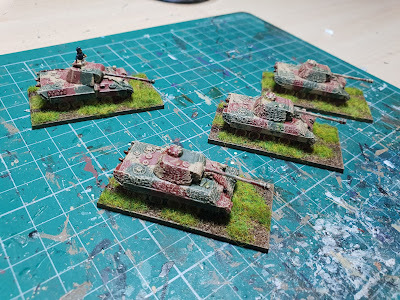 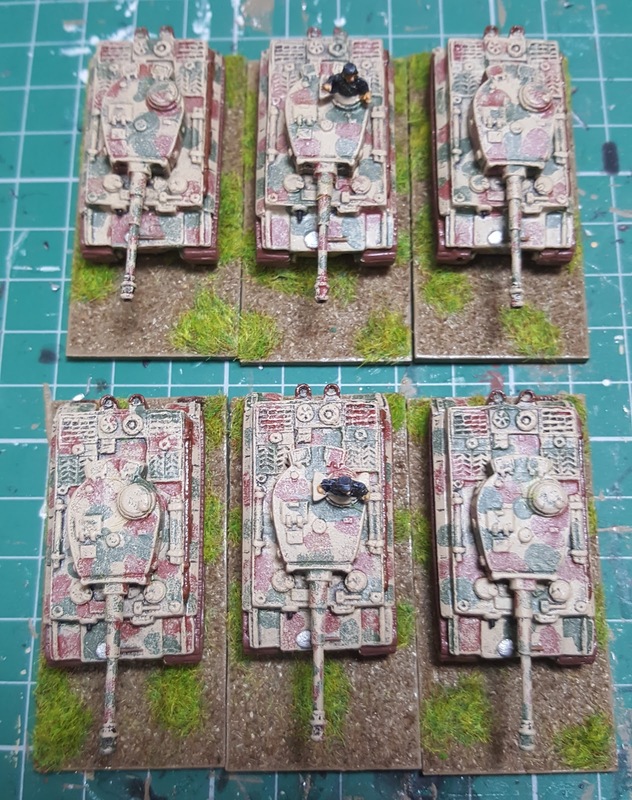 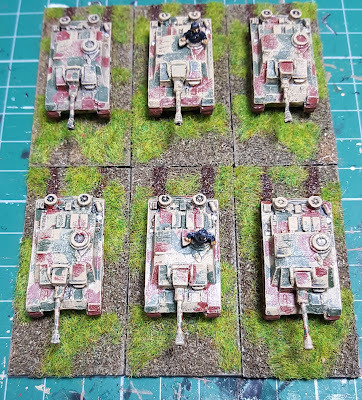 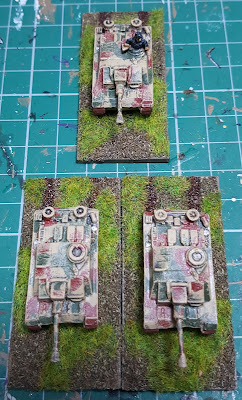 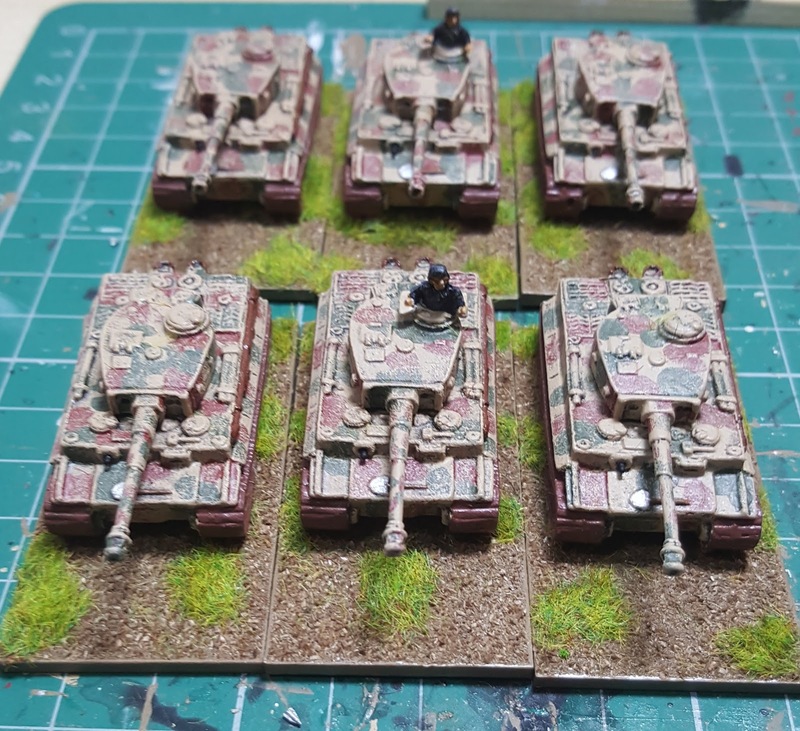 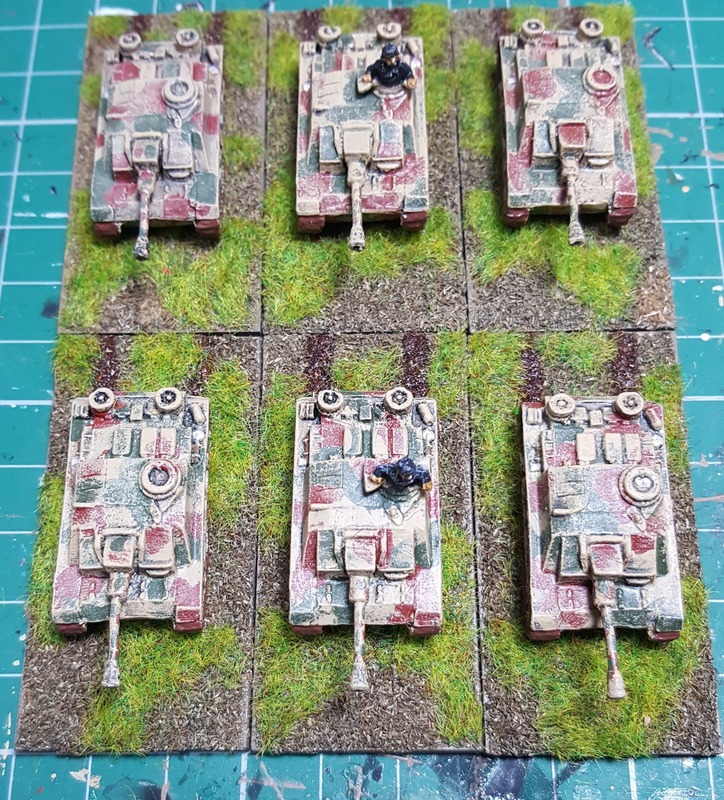 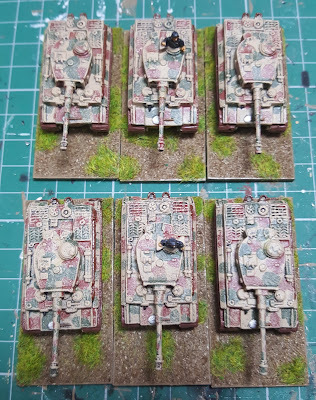 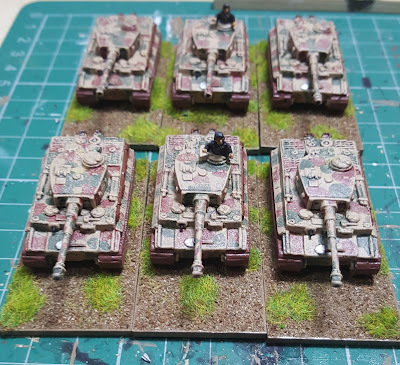 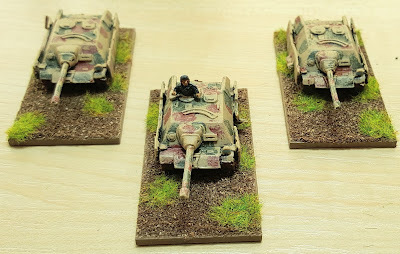 Some Tiger II's unfortunately the gun barrels were weak so I had to put the walls in front. 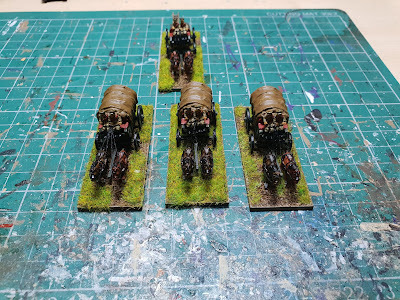 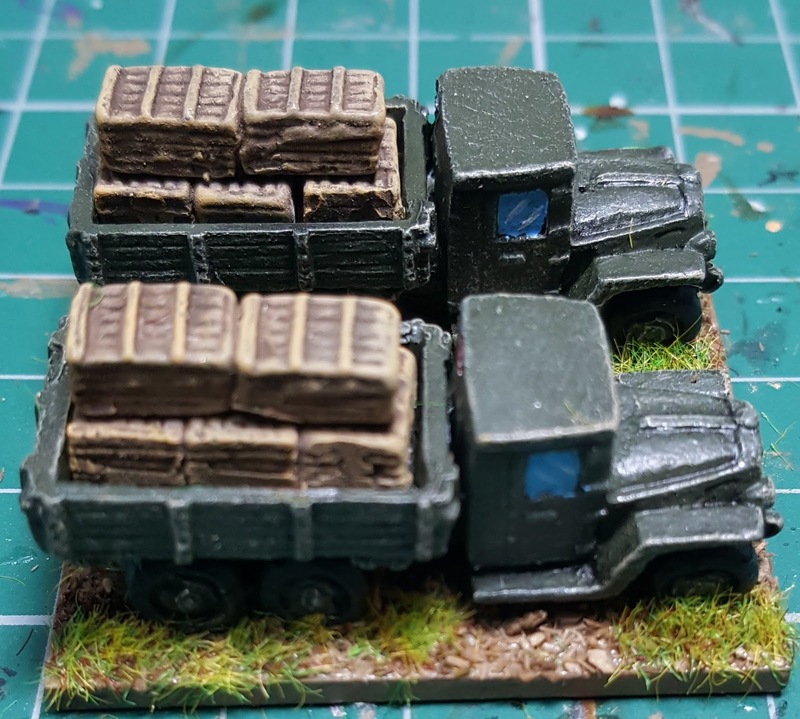 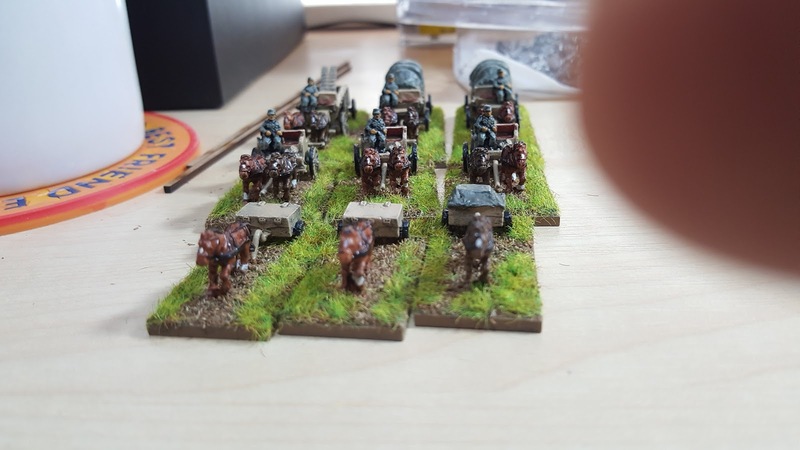 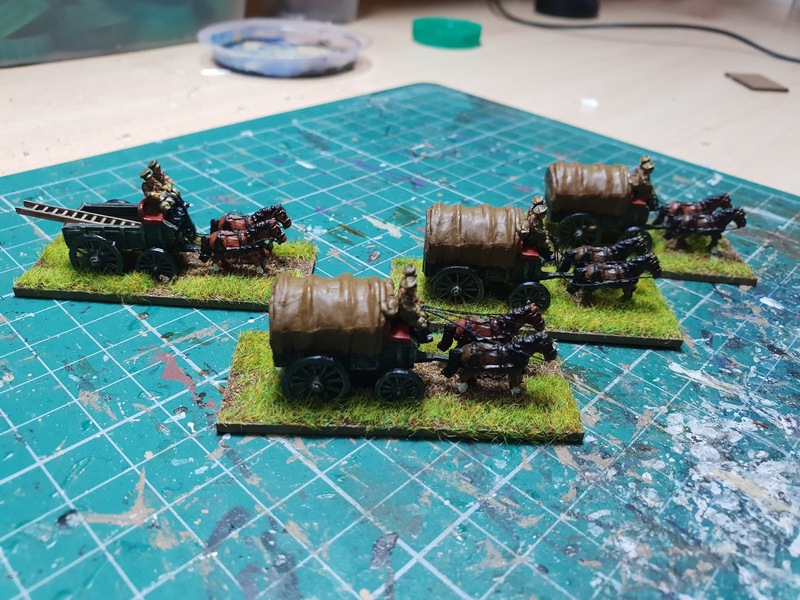 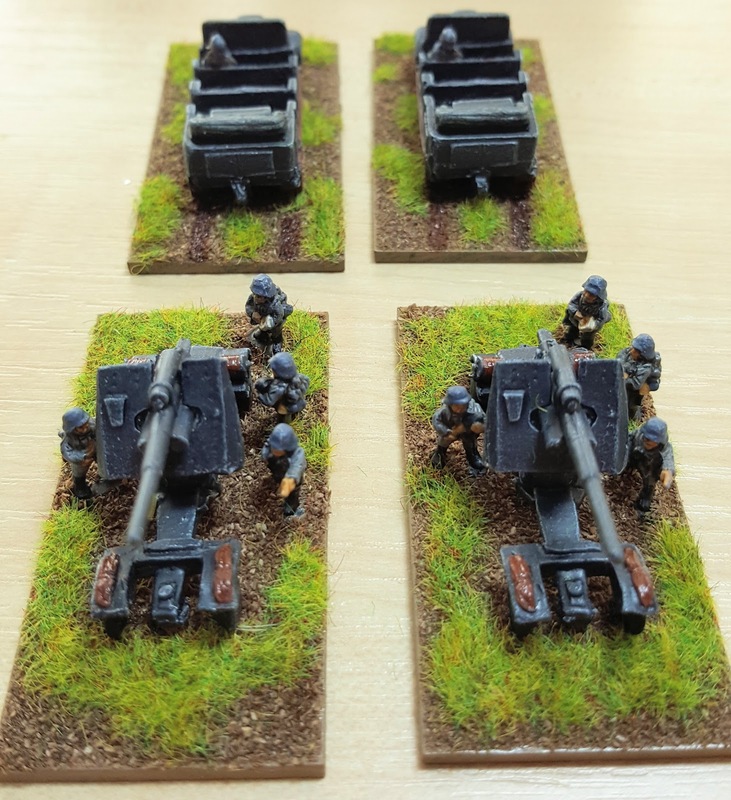 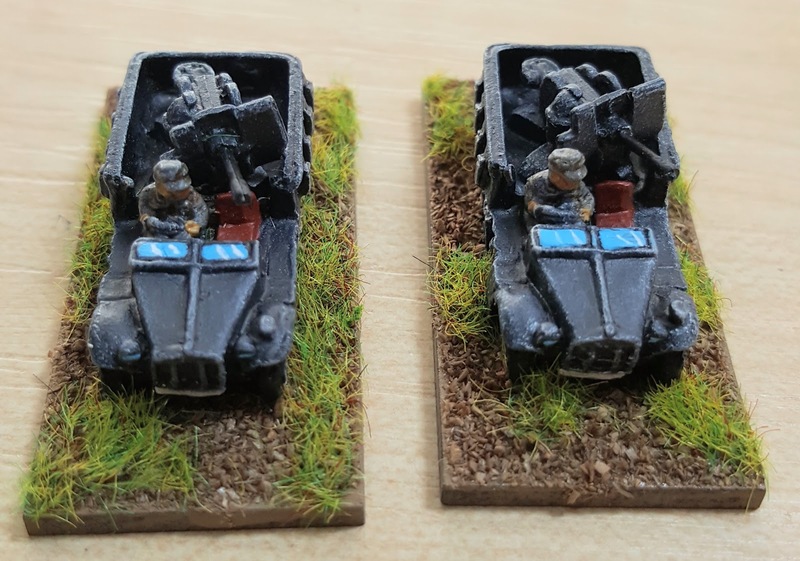 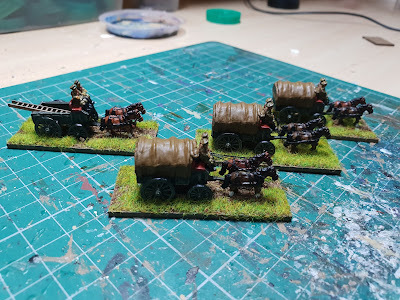 Artilleriewagen and Box Wagon from Dragon. 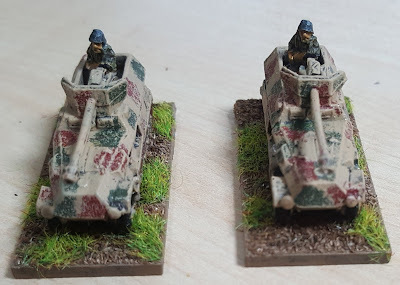 Early war Sd Kfz 251 armoured personnel carriers. 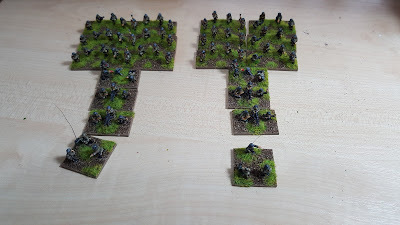 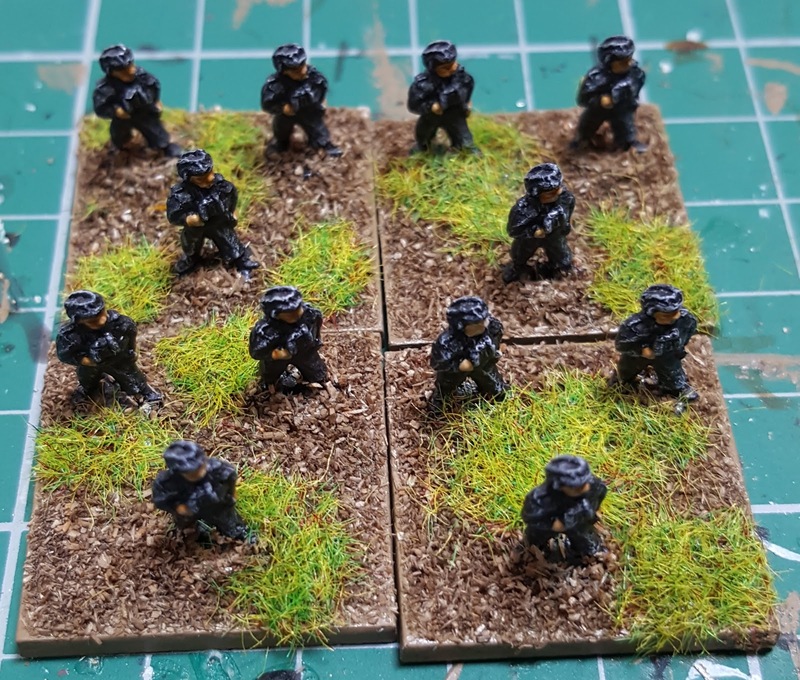 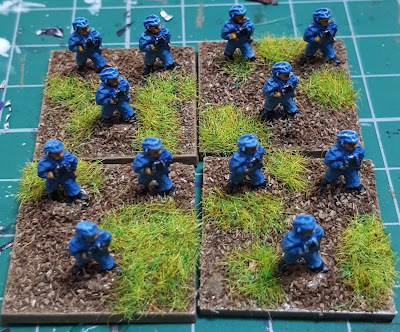 A German Infantry Battalion all finished and based for Rapid Fire Rules the miniatures were mainly Pendraken Miniature's and one or two of Magister Militum. 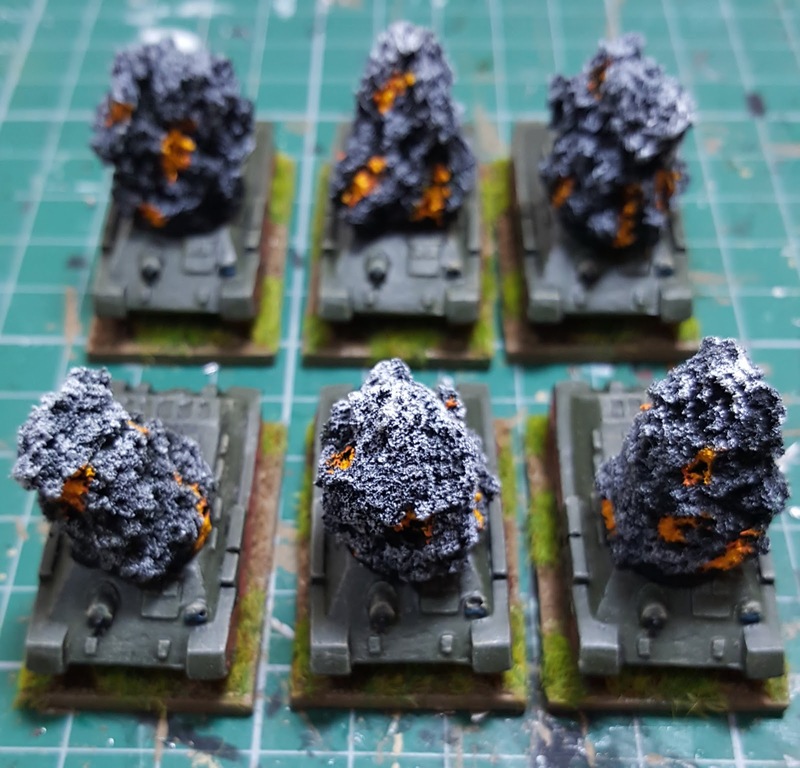 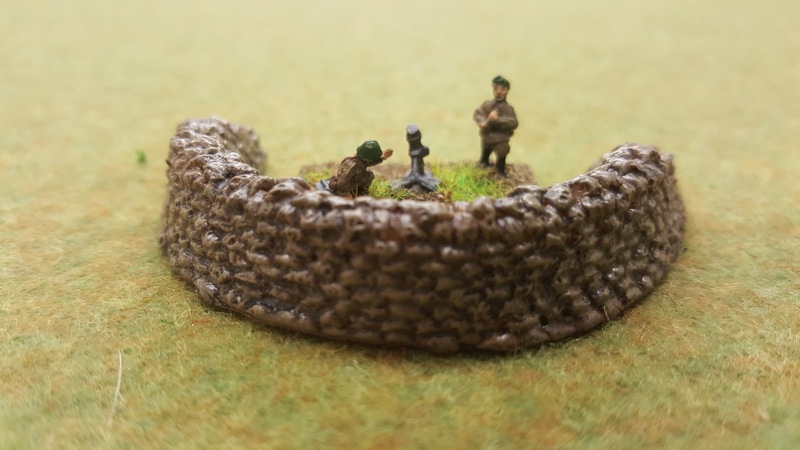 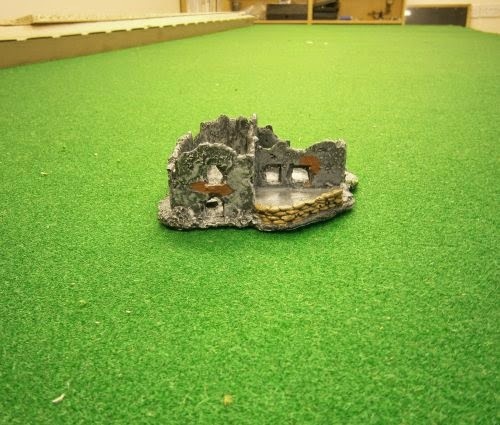 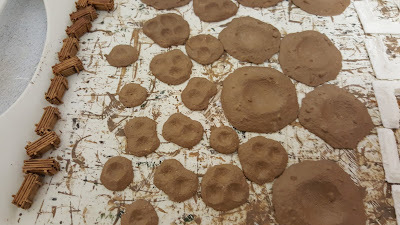 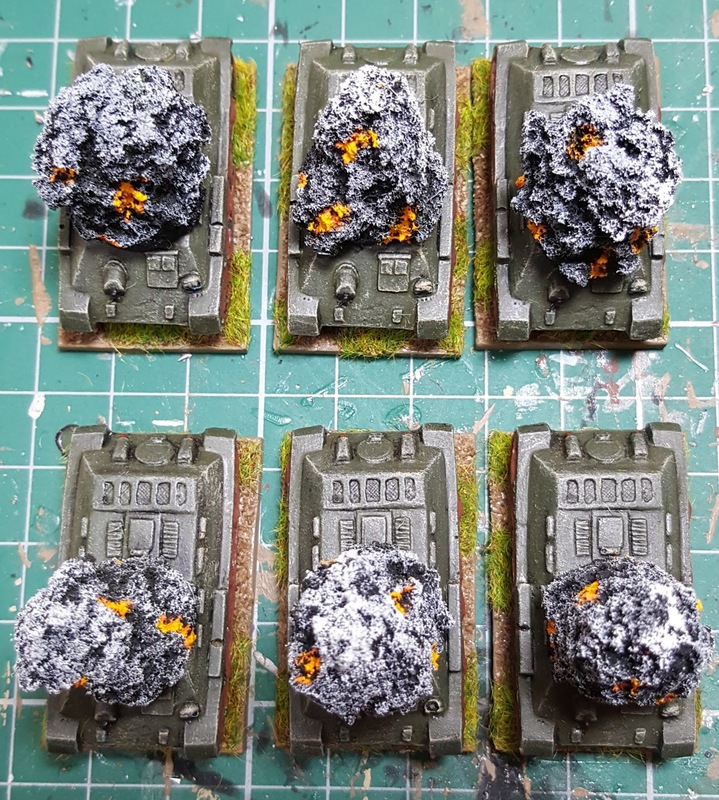 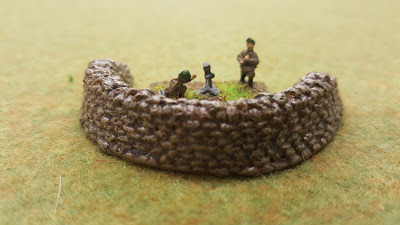 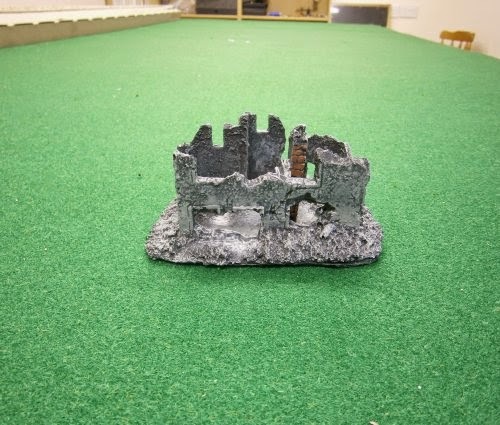 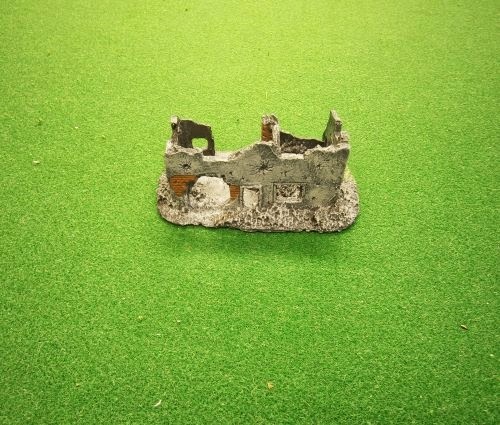 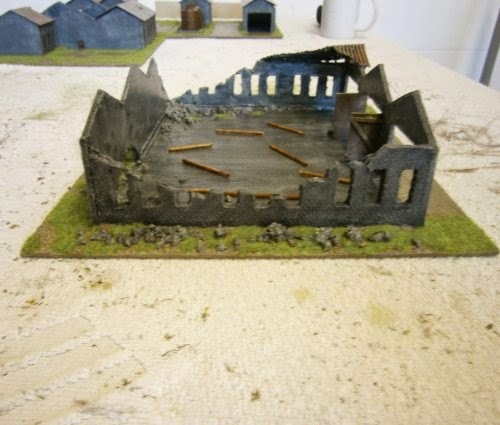 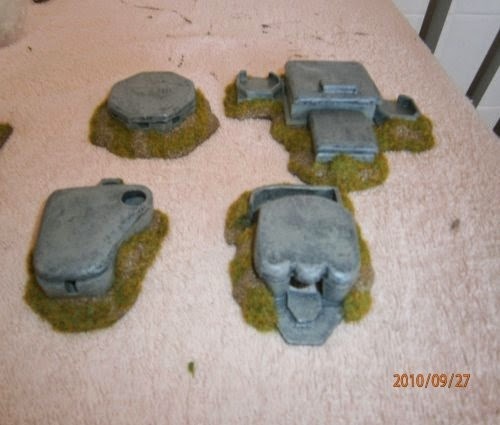 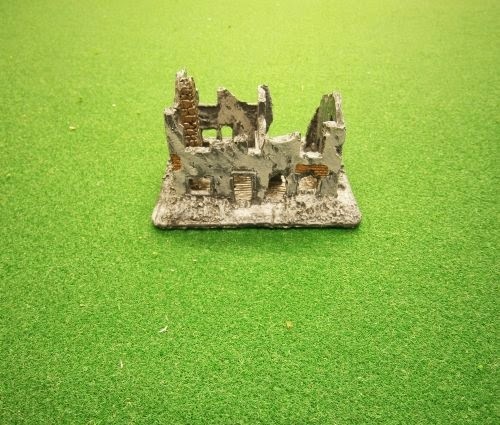 A load of bomb craters from Pendraken Miniature's. Some partially painted Pendraken Miniature's Barricades, I particularly like these and will be getting some more. 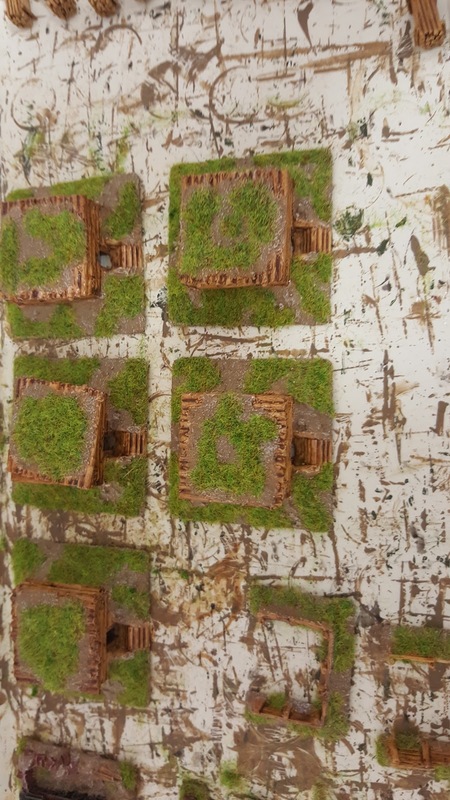 Some more of Ades work, slate Barricades and some Sandbanks, the hayricks are Pendraken. A revamp of some old buildings to the Stalingrad theme of white render. 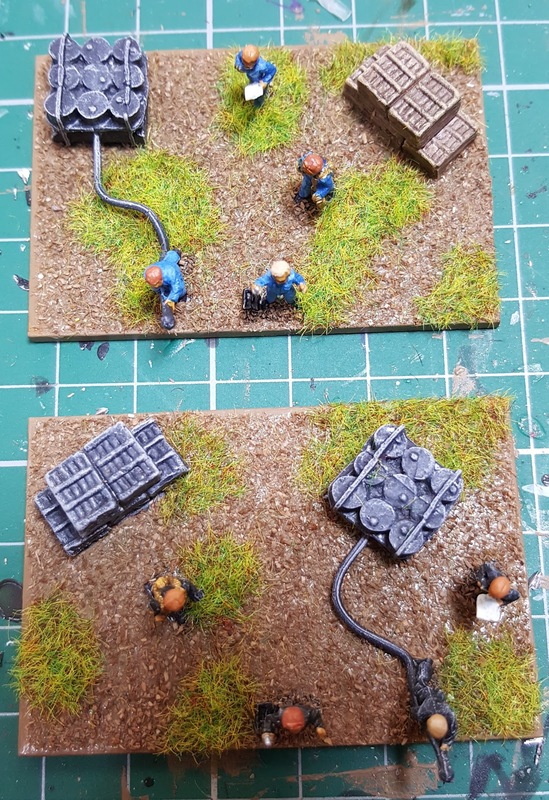 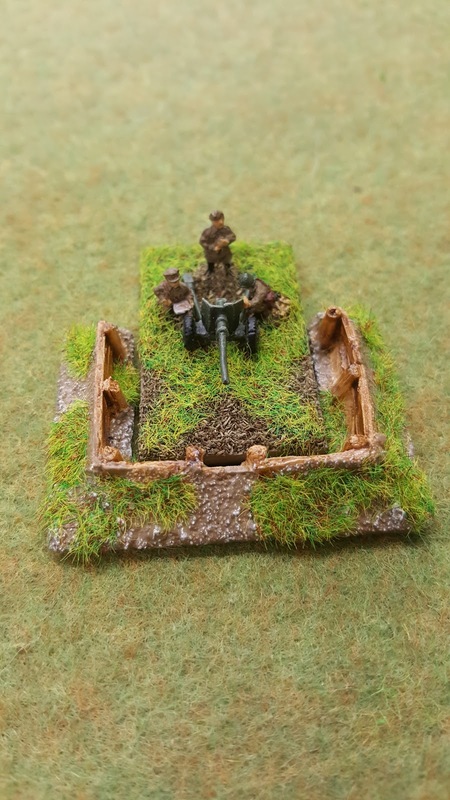 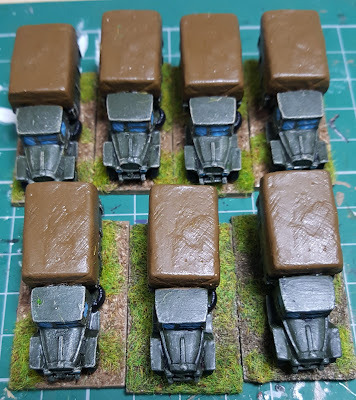 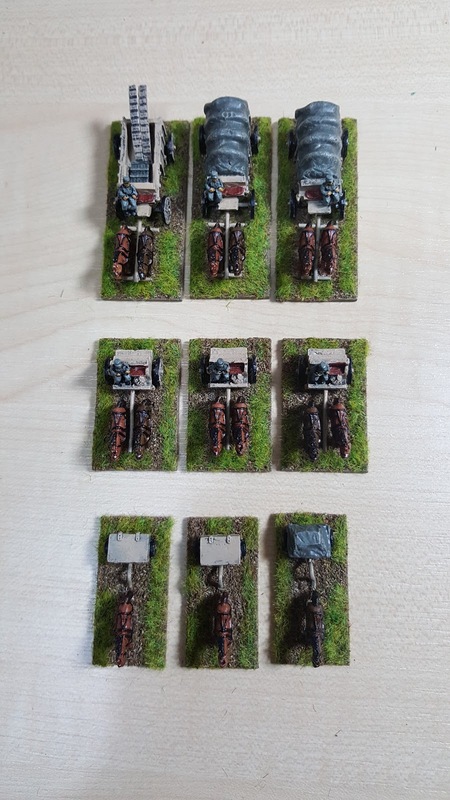 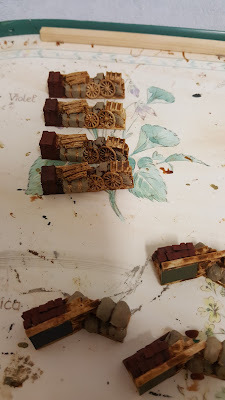 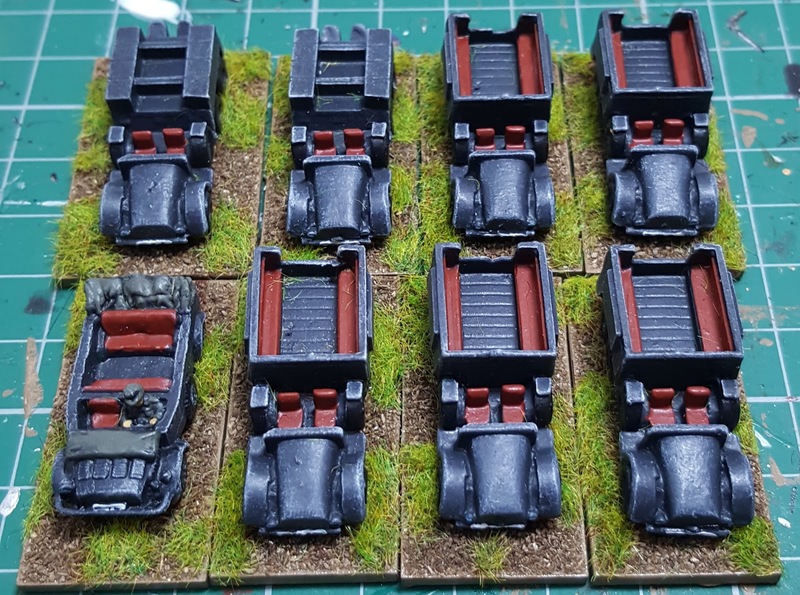 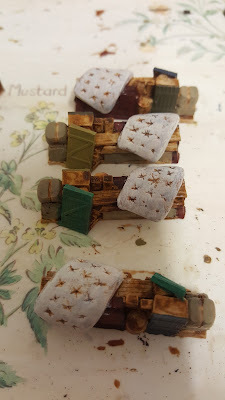 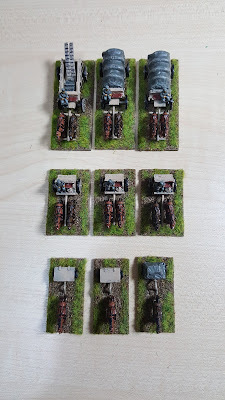 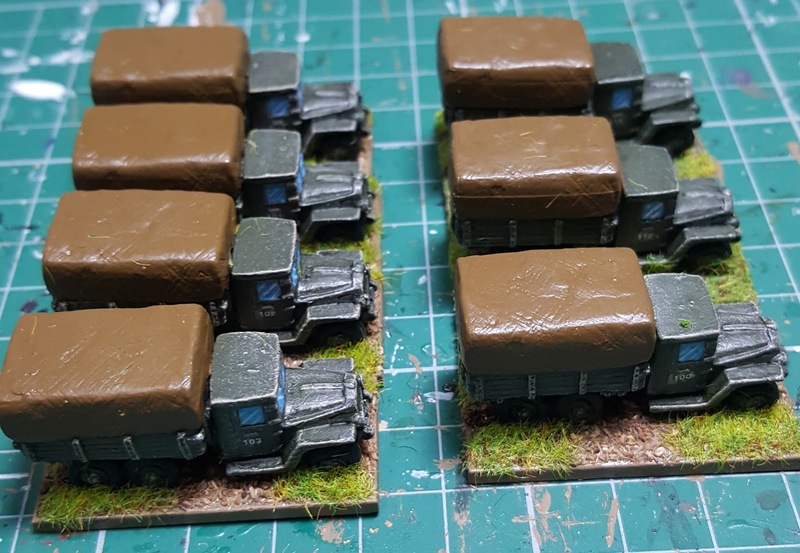 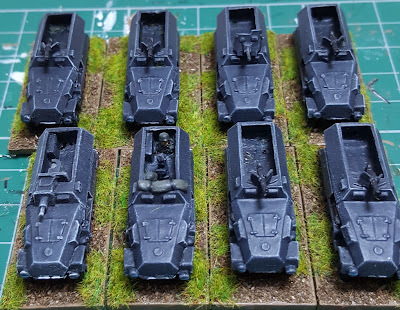 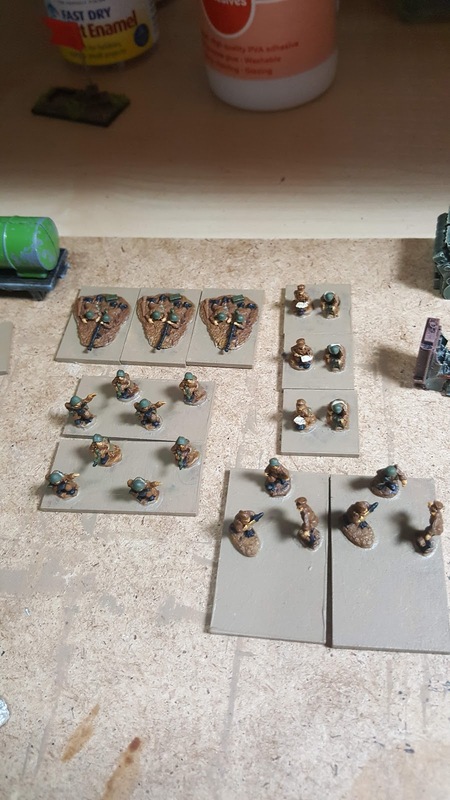 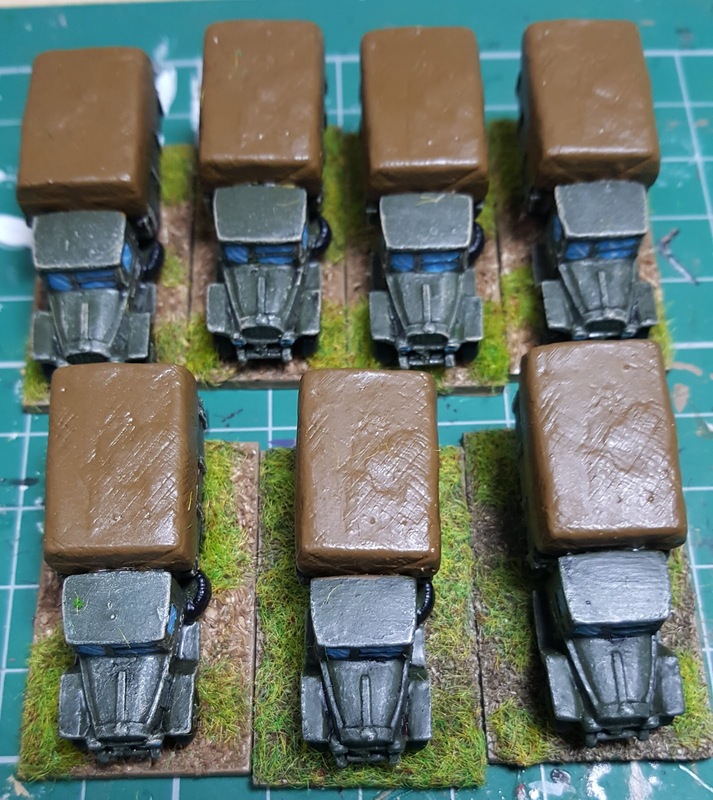 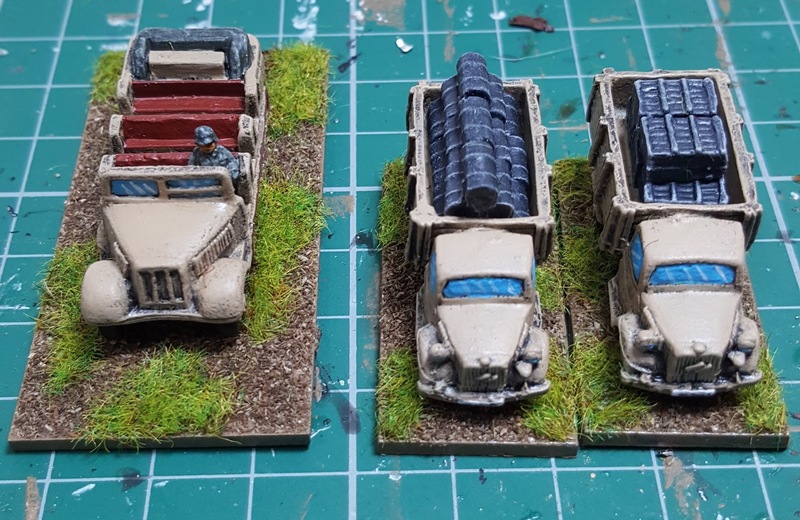 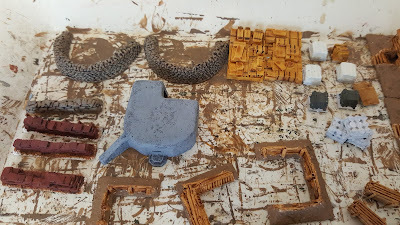 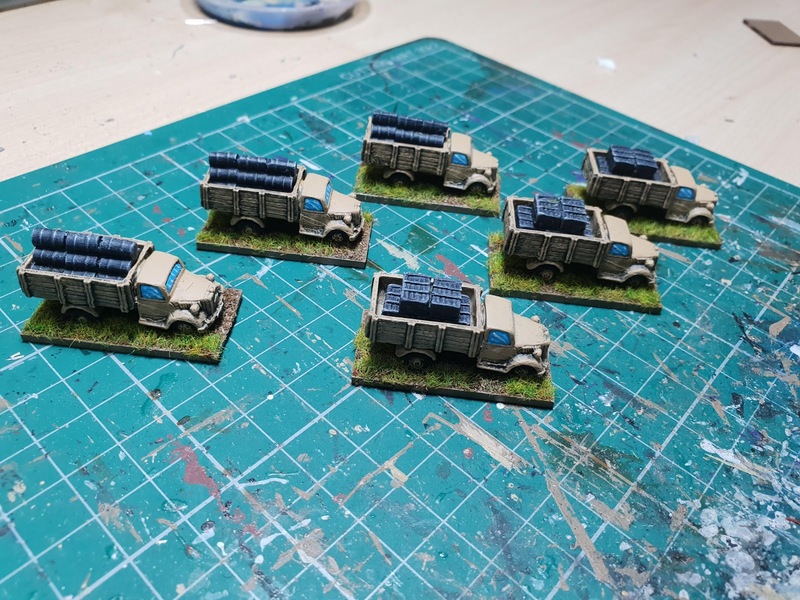 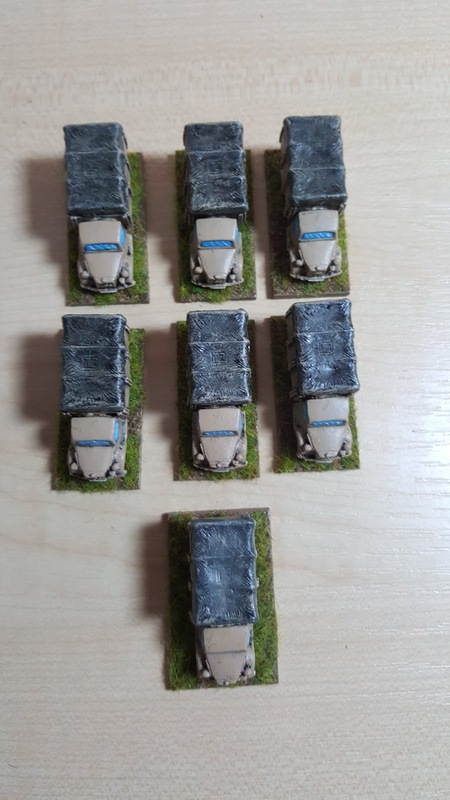 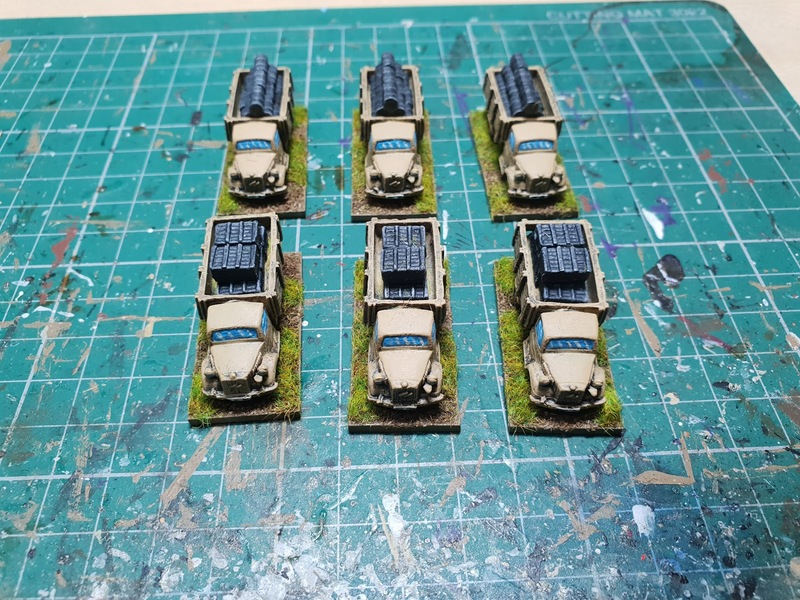 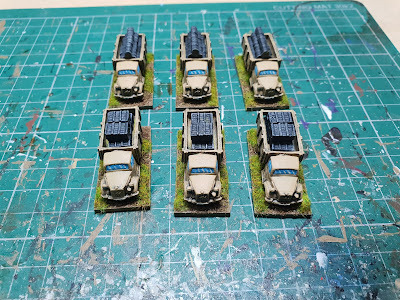 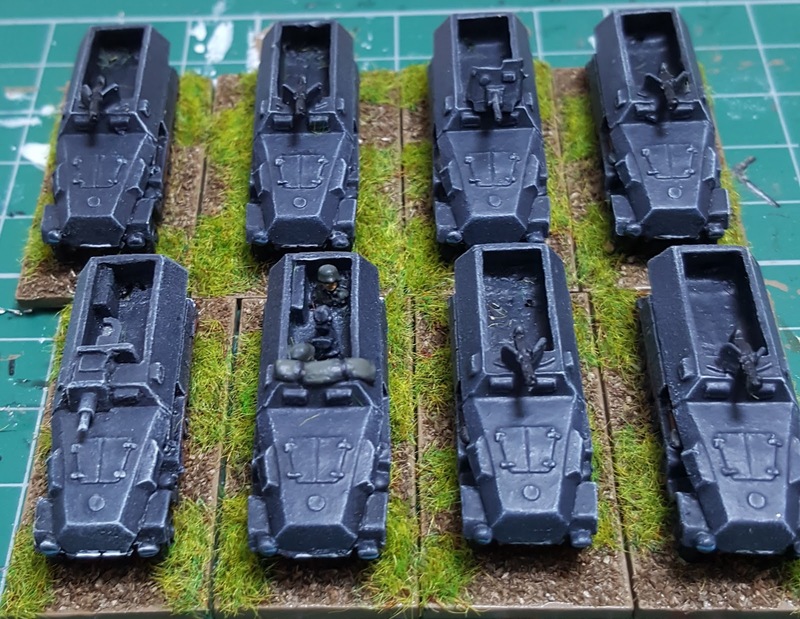 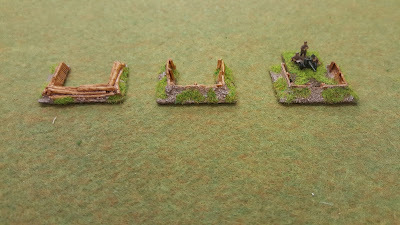 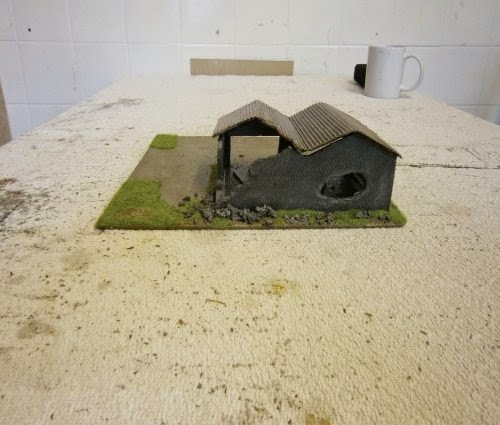 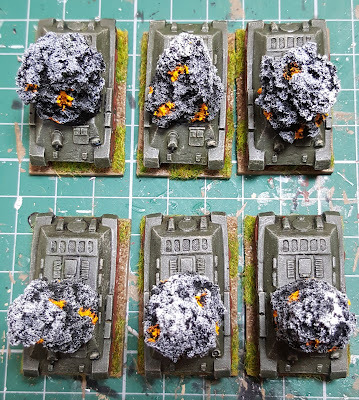 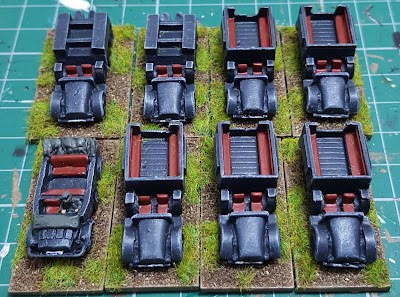 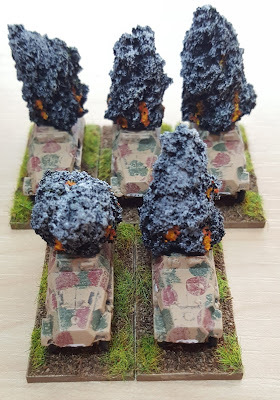 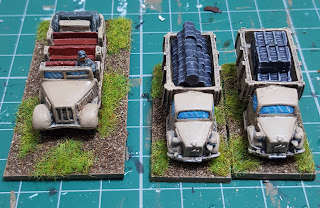 Some bits and bobs sorted out, Sandbag emplacements from Steve Clay (Battlescale Wargame Buildings) which I'm extremely impressed with definitely be ordering some more. A new member (Ade) who joined the Grimsby Wargaming Society has become an extremely good friend of mine, and turns out to be an excellent sculptor so I've been very lucky in having a few pieces sculpted especially for me. 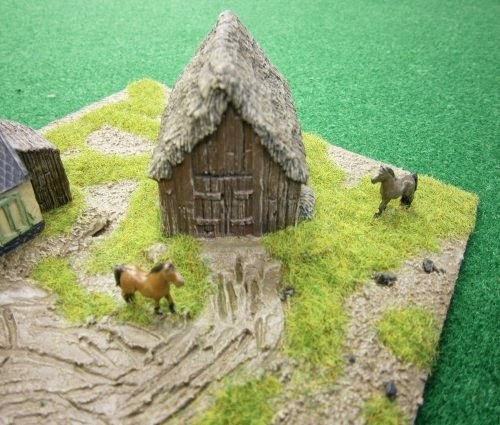 And yes for all those interested he will be opening his own website. 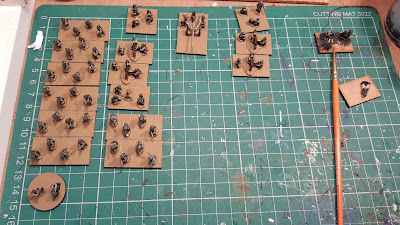 A bit more progress made on the German Infantry battalion. 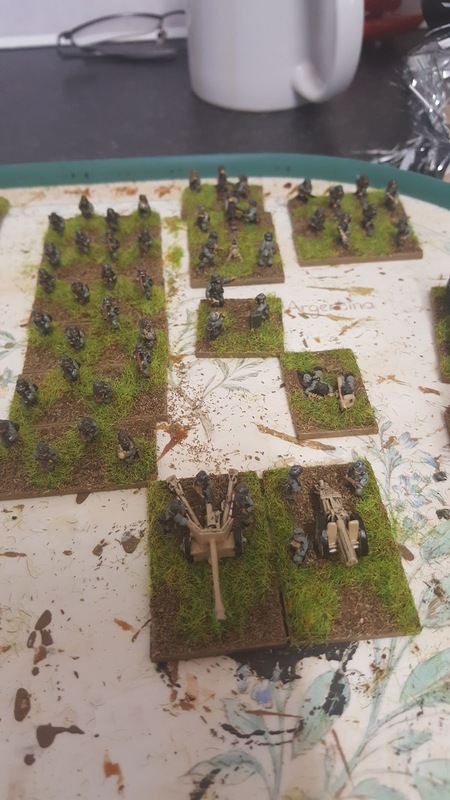 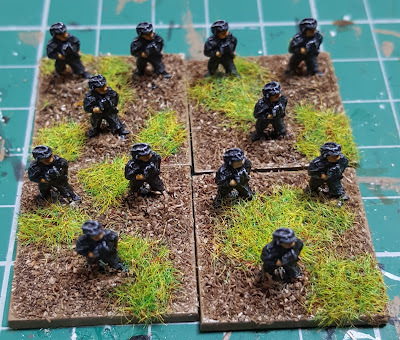 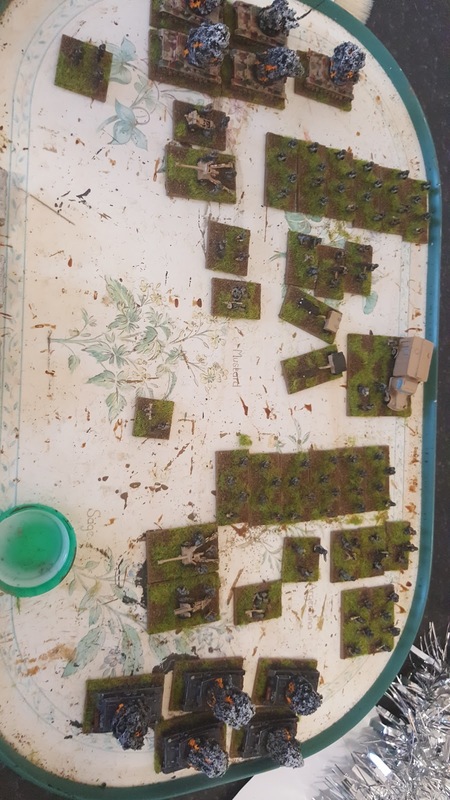 Finishing off some German infantry. A very good friend from the Grimsby Wargames Society gave me these ( Andy Hamilton) for my WWII stuff. 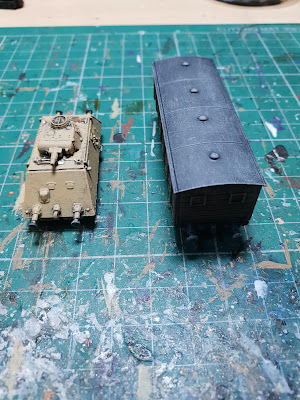 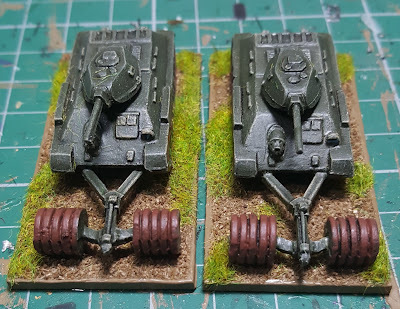 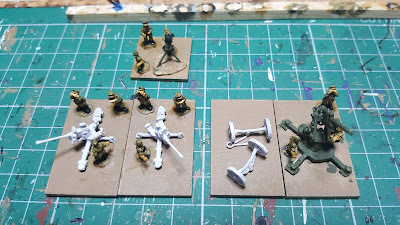 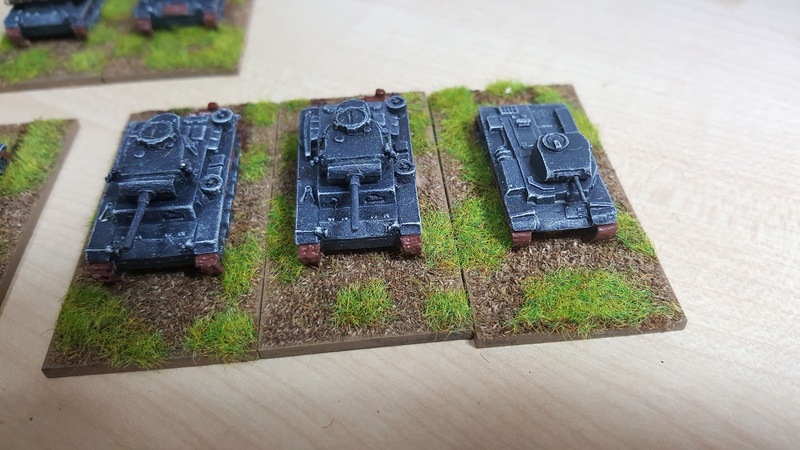 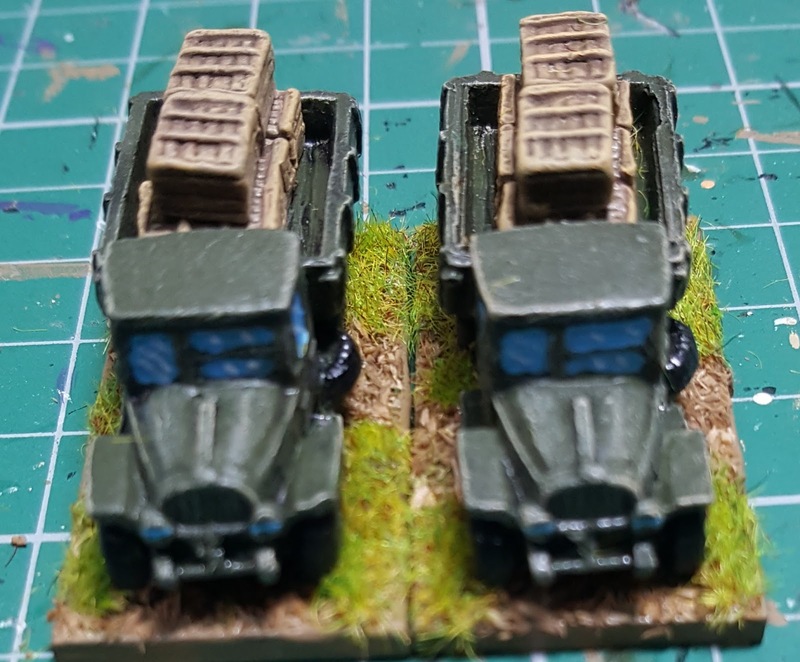 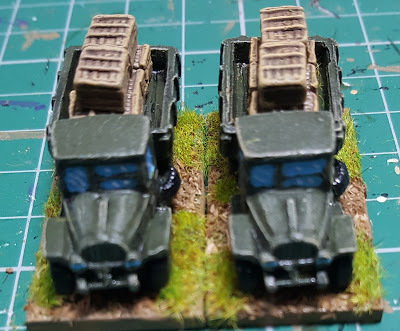 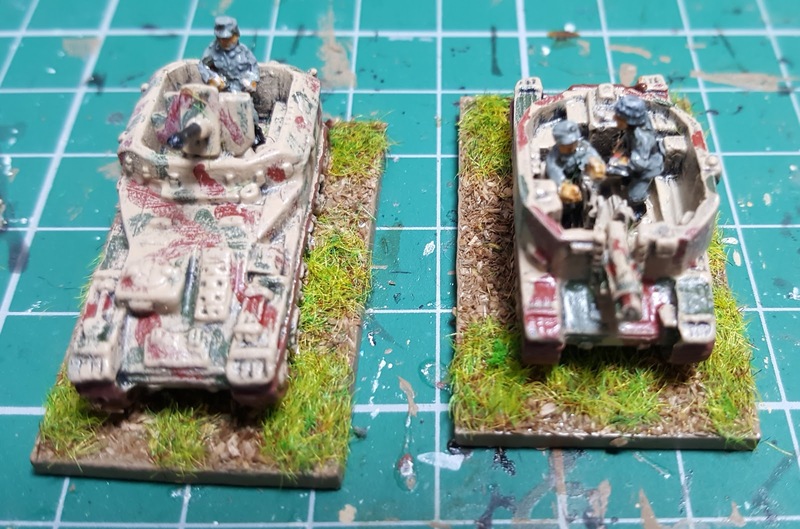 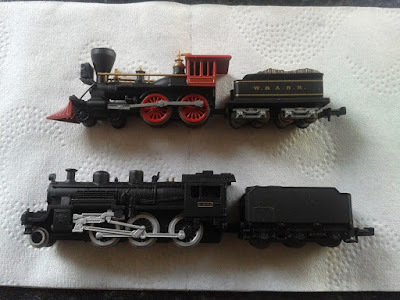 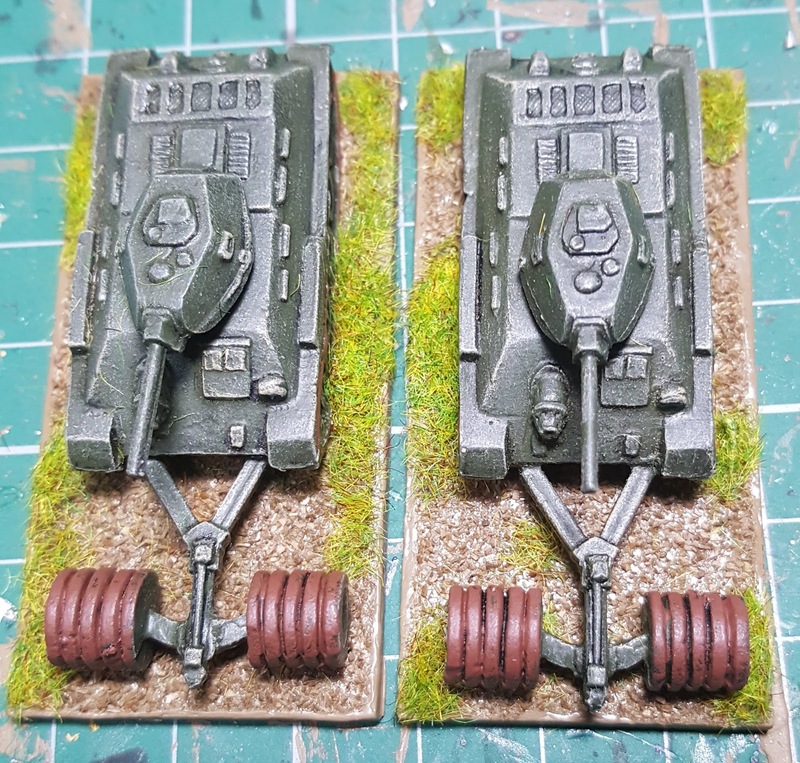 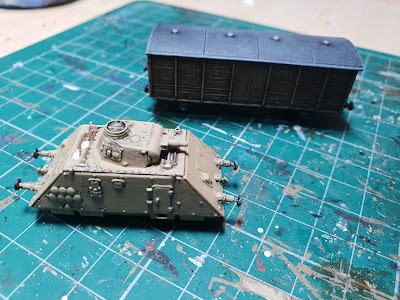 A couple of cheap del prado static n gauge models for my ACW and WWII wargaming projects. 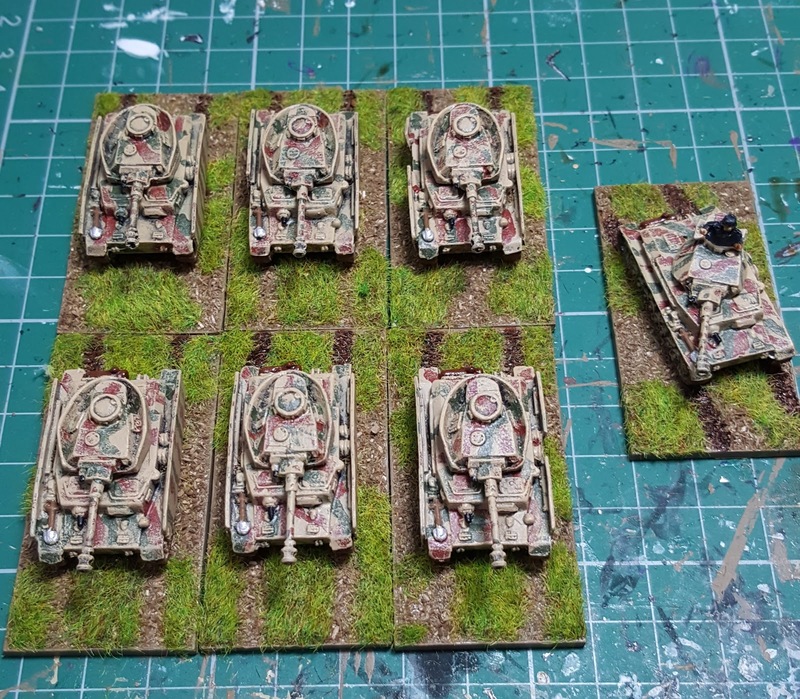 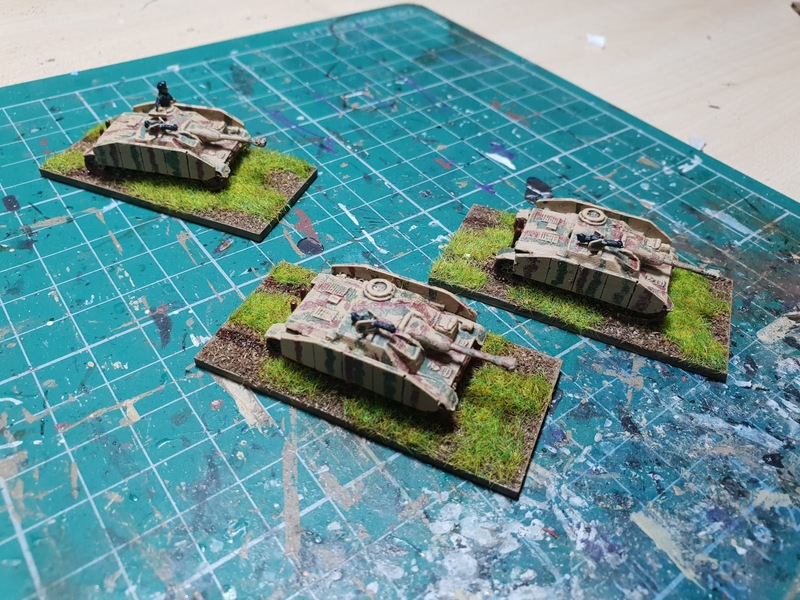 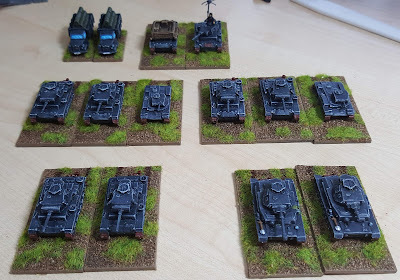 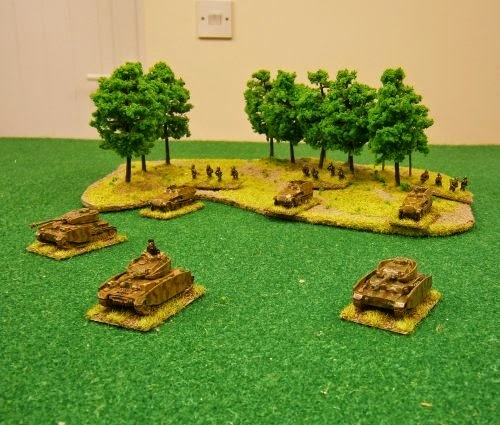 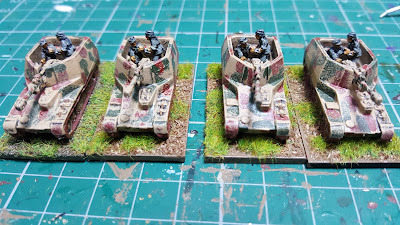 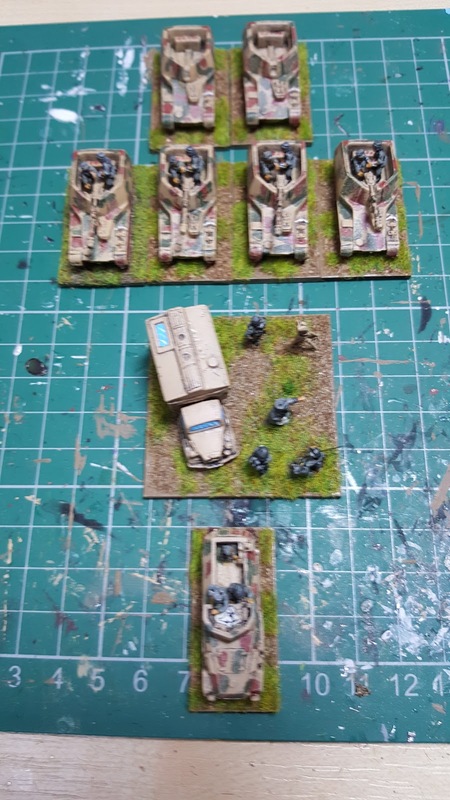 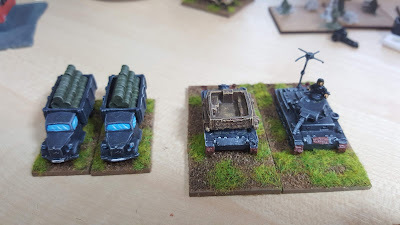 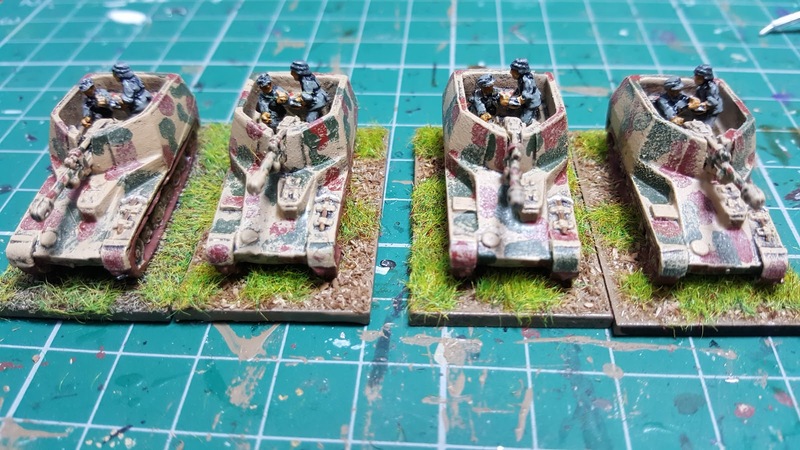 My World War II entries for the Pendraken Painting Competition 2014. I've been busy repainting the Russian army I got off eBay earlier in the year they are nearly finished now, I'll be adding a painting guide. 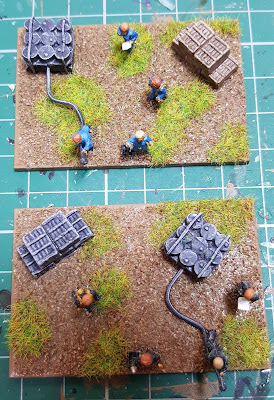 I've also painted three Fieldworks buildings. 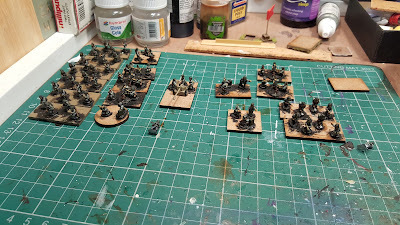 I finished rebasing the Russian and German infantry which I purchased from eBay earlier in the year. 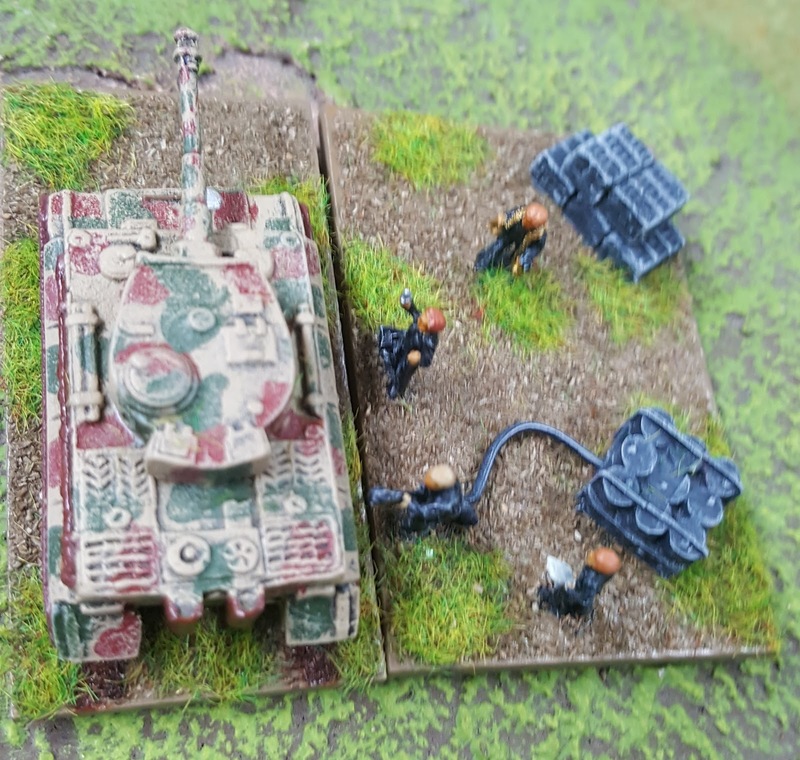 My entry for the Pendraken Painting Competition 2013 which consists of the Germans I painted earlier in the year shown as a battle group. 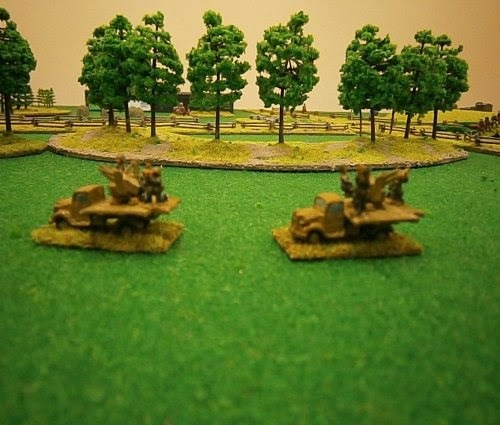 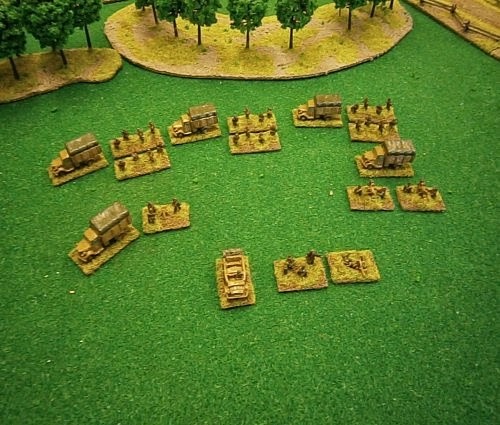 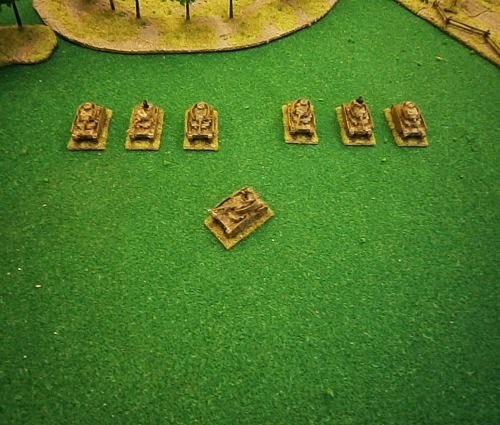 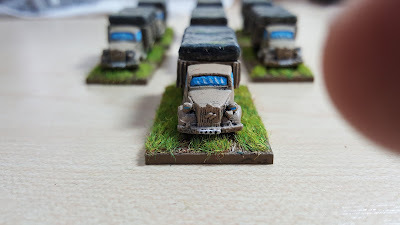 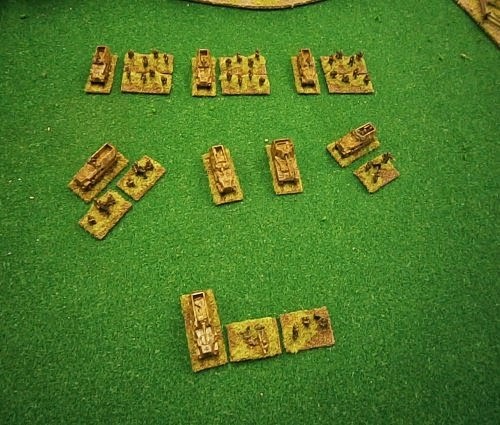 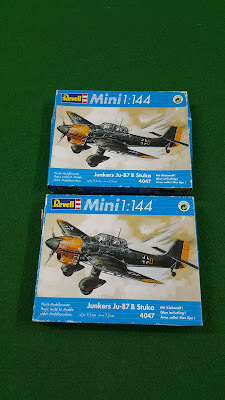 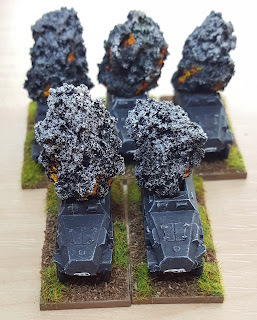 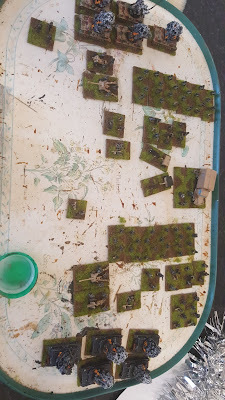 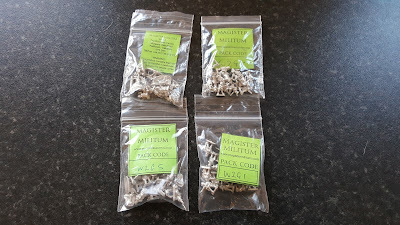 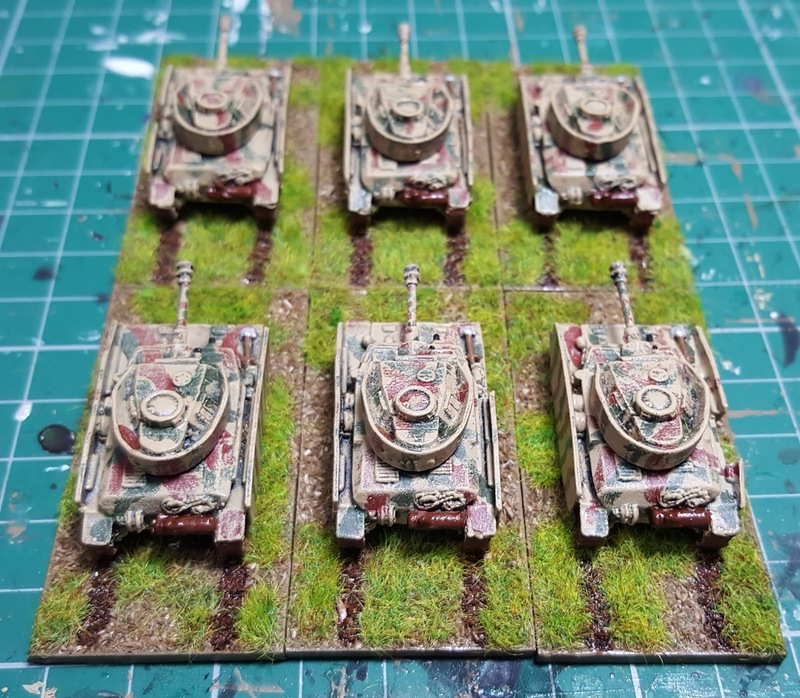 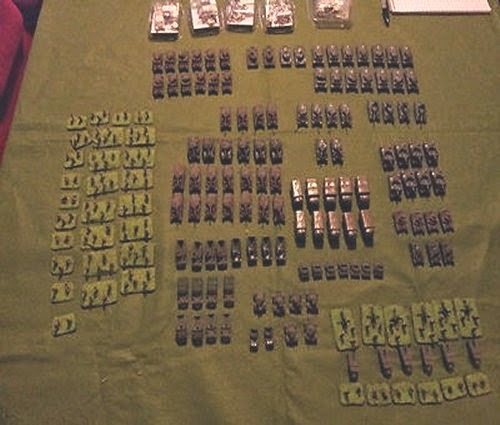 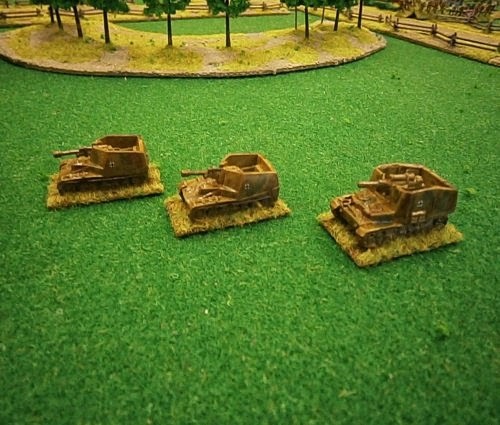 I bought three World War II 10mm Pendraken armies from eBay. 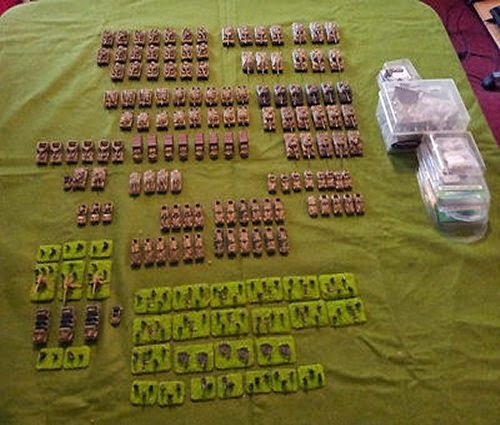 A British Army, German Army and Russian Army. 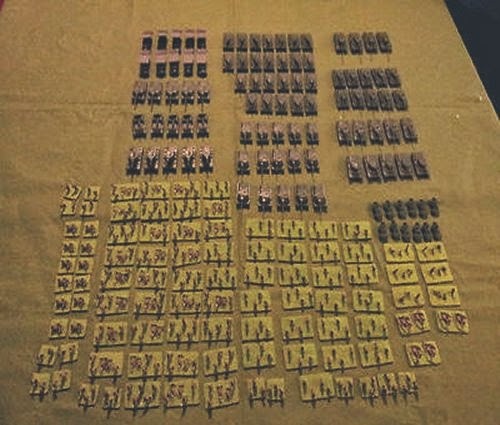 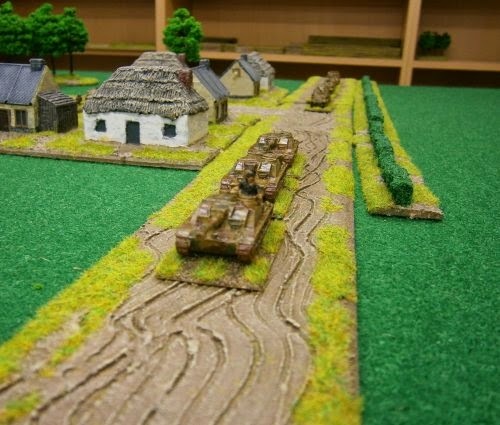 British army consists of the following painted models. 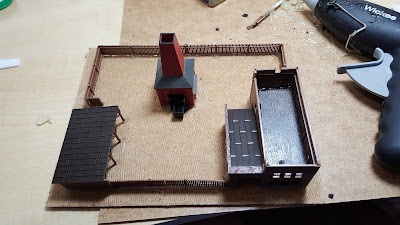 I decided to have a go at building some World War II factory ruins for Stalingrad you can find my complete construction guide here. 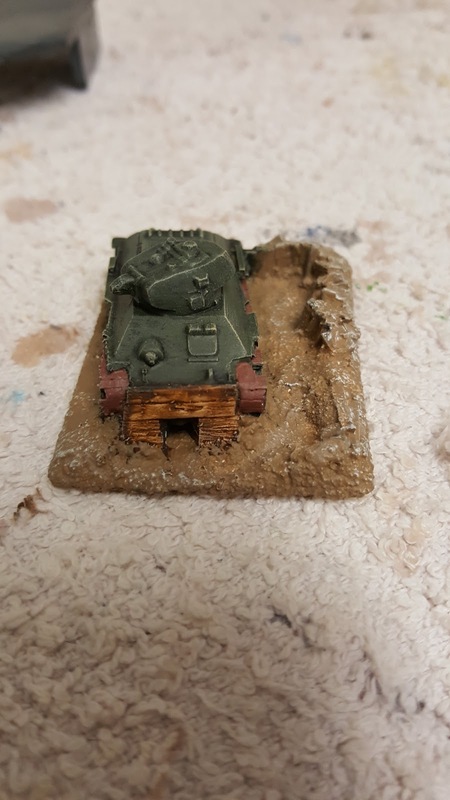 Started painting my World War II German infantry and armour. 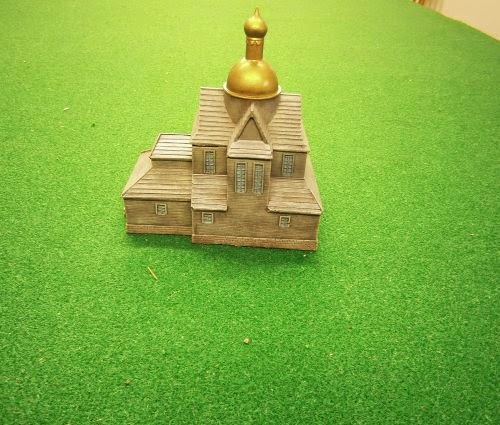 This is the very first TimeCast's building I have purchased also got this from triples and I am extremely pleased with how this building looks. 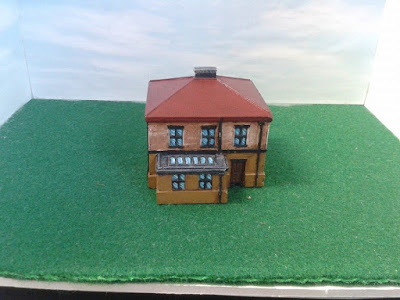 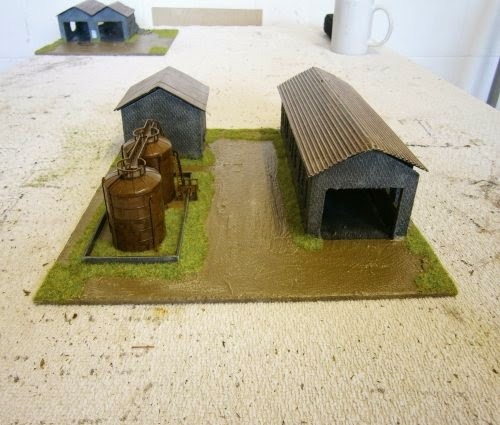 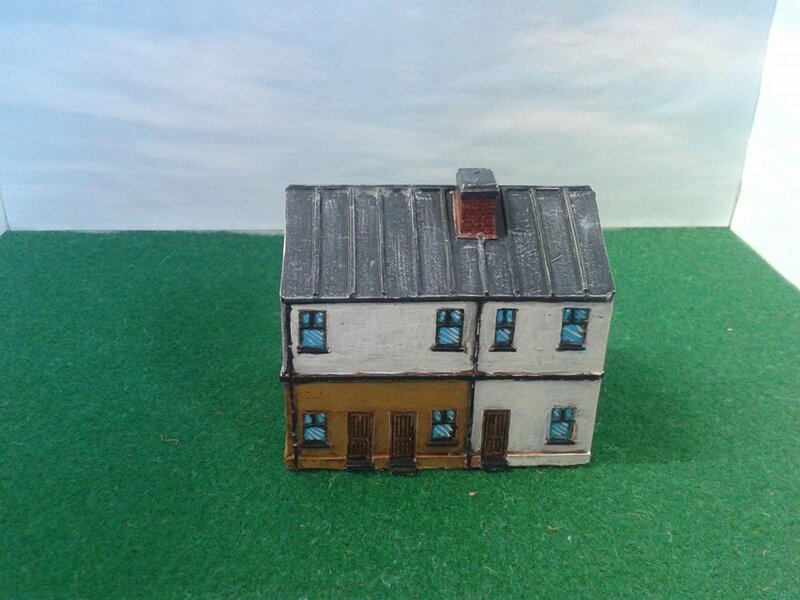 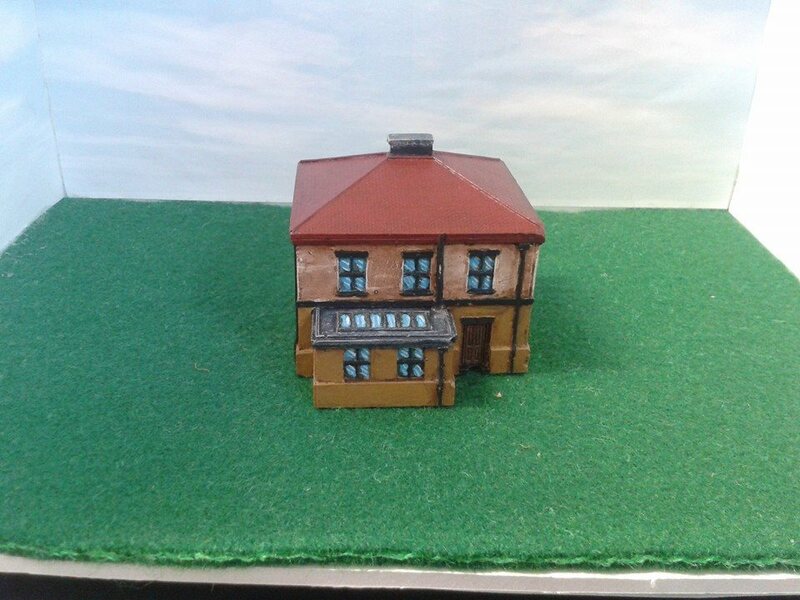 I painted the first of my Fieldworks buildings which I got from triples. 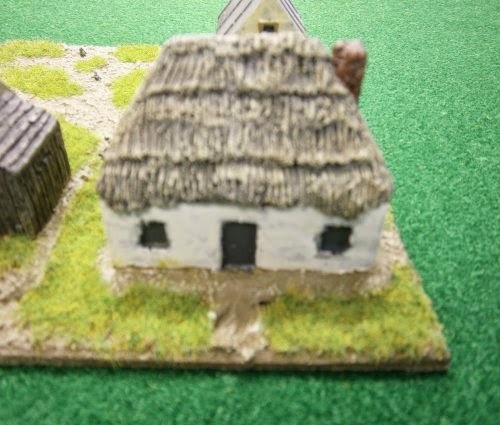 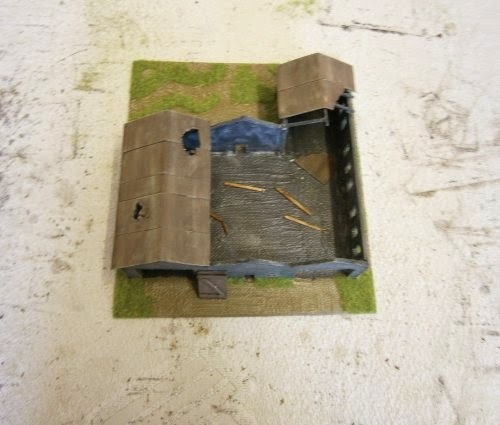 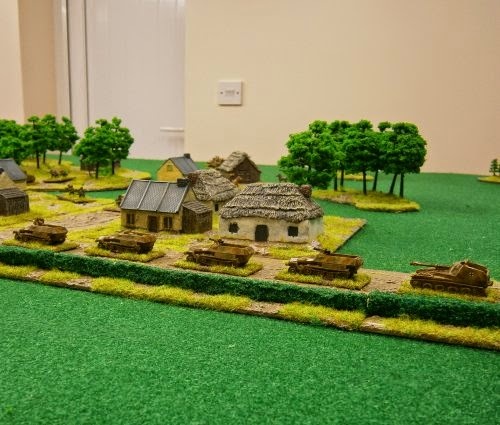 I entered Pendraken Painting Competition 2012 with their PS35 ACW buildings which had painted earlier in the year. 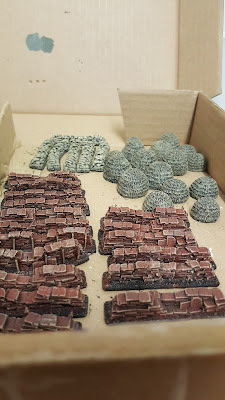 I started painting all of the Pendraken buildings I had.